Carousel International Coffeehouse at the Palace of the Golden Horses serves halal local and international cuisine with seating capacity of 220. It is spacious with 3,444 square feet and is located on lower ground floor. Carousel International Coffeehouse has a lot to offer to food lovers. 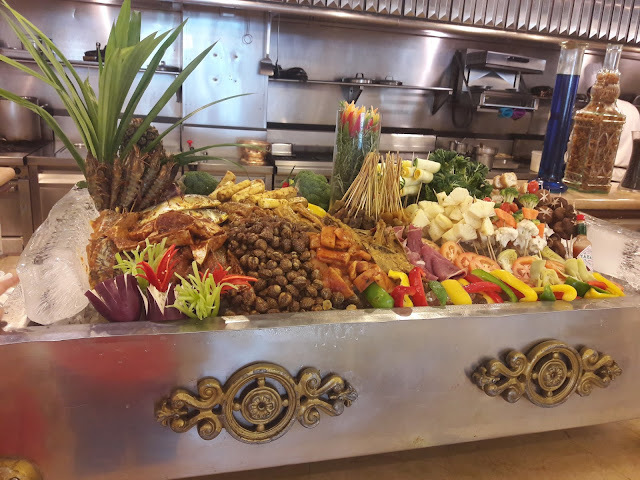 There are various, delicious Hawker food and tasty Grill Buffet. The 'Grill Party' buffet is priced at RM 88.00 nett per person. 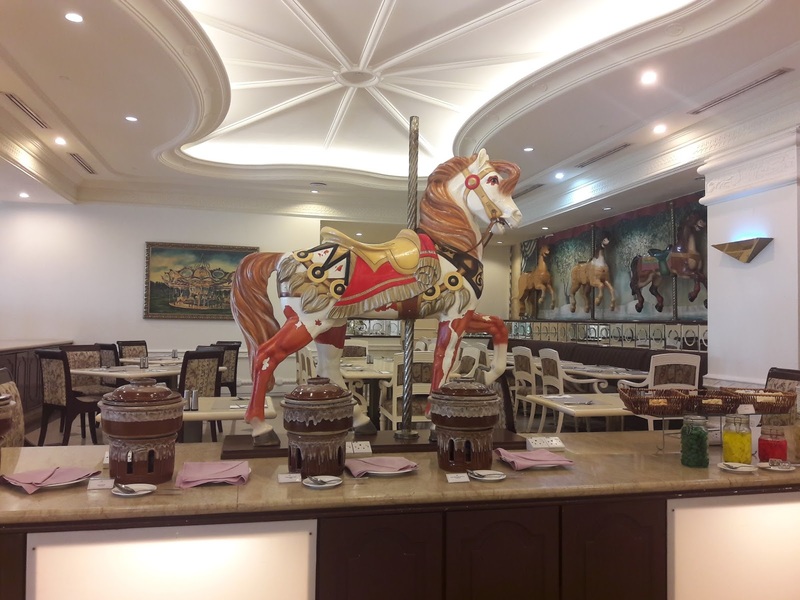 This is a great place to dine with lots of nice carousel decorations. I love the carousel horses and ostrich decorations. At Carousel International Coffeehouse, not only is the interior design lovely, you can count on the freshness and quality of the food. Expect the fresh cuts of lamb shoulder and cutlets, marinated tofu skewer and chicken and beef satay cooked to order. 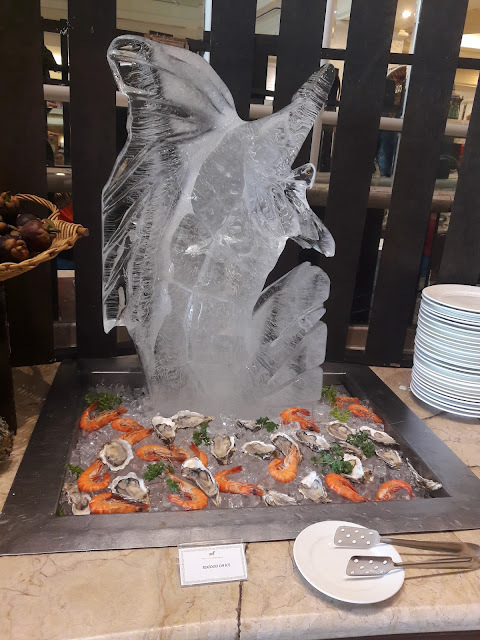 The outstanding grill menu includes sirloin, rib-eye, slipper lobster, clams, prawns, cockles squid, mushroom, bell pepper, garlic skewer and sting ray. 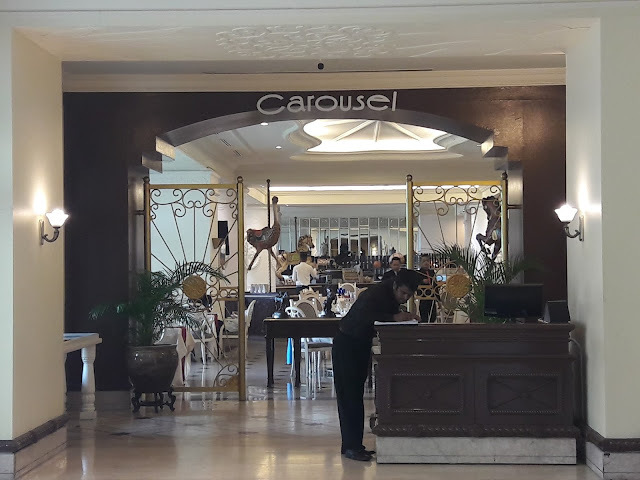 Inspired by a blend of traditional and royal style of butcheries and dinners, the Carousel International Coffeehouse provides guests delicious, freshly grilled items. There are various Hawker menu such as oyster omelette, popiah nyonya, sotong kangkong and roti john. 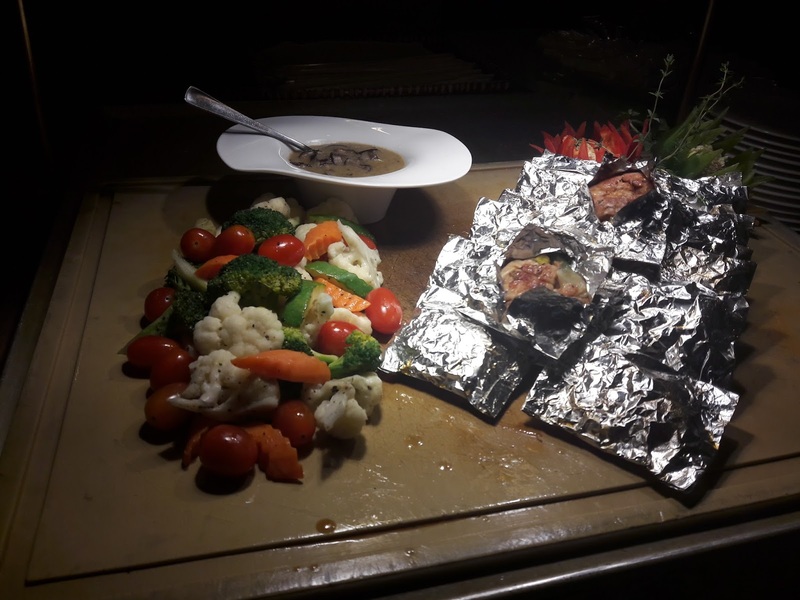 There are also delicious oven-baked chicken parcel with mushroom ragout and garlic sauce, roasted chicken roulade with mustard seeds sauce and chicken meatloaf with brown onion sauce and mustard. 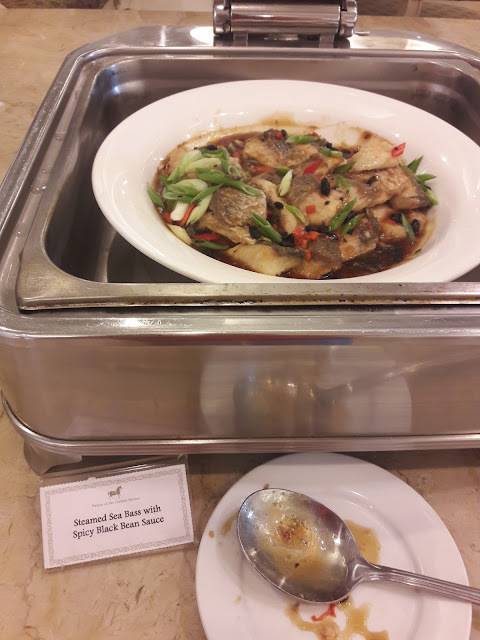 The hawker dishes are a must try especially the sotong kangkong and oyster omelette because these two dishes were really outstanding and very delicious. 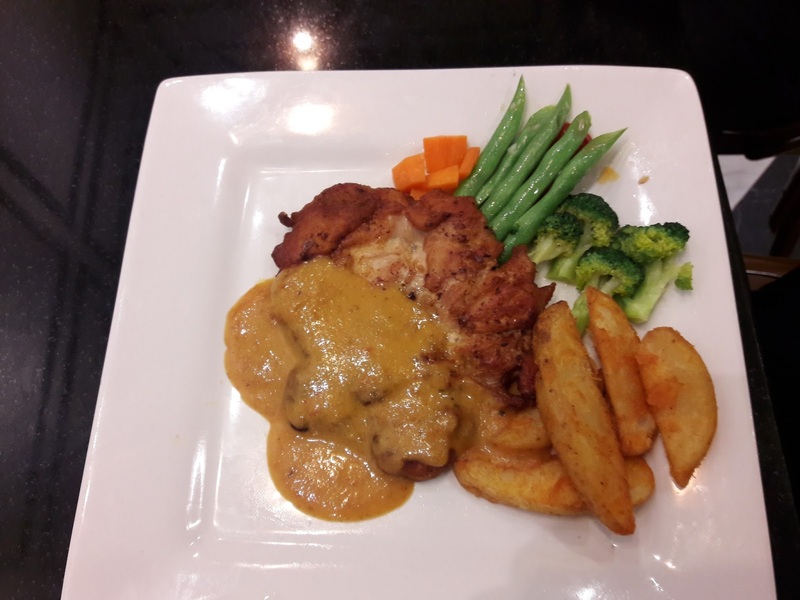 The main course menus are divided into three sets leaving guest with amazement to choose. The ayam kapitan, daging masak paprika, roasted potato wedges with rosemary, daging kari nyonya, pan-fried chicken payard with lemon wedges and steamed sea bass with spicy asam sauce are some from the multifarious main course. 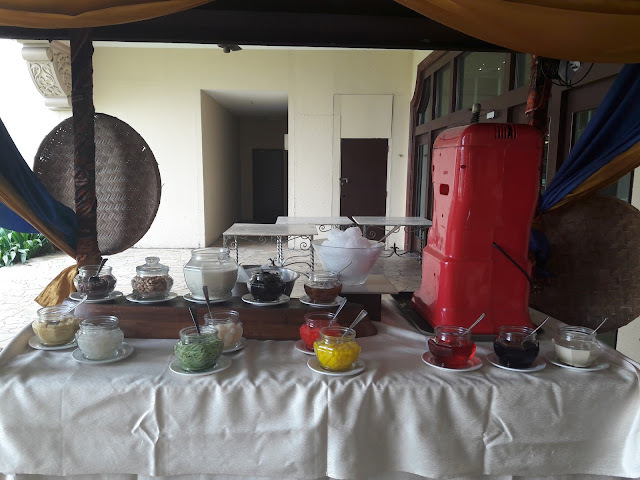 Guests can look forward to fascinating sauces such as lime cream sauce, Rosemary-garlic sauce, mint jelly, peanut sauce, percik sauce and tomato salsa. 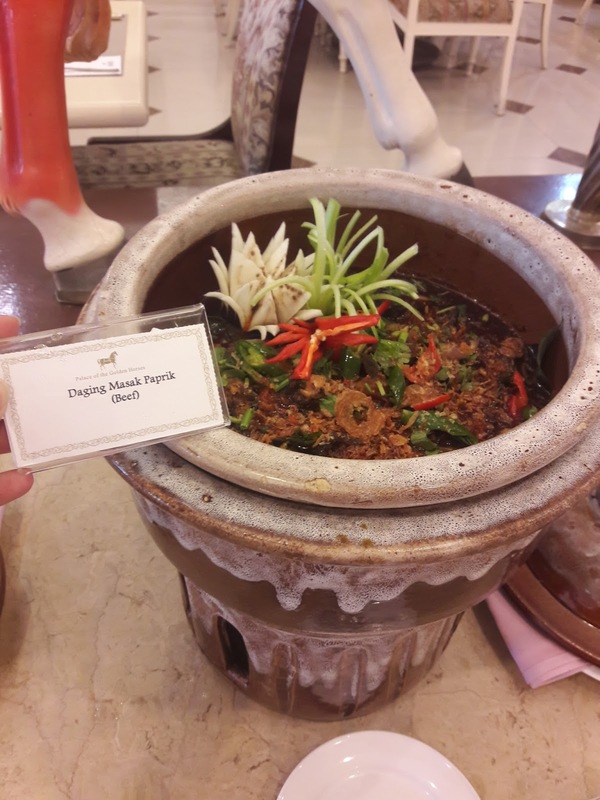 Daging Masak Paprik (beef) meat was tender and sauce was very tasty and not too spicy. The prawns and mussels were very fresh and I love the fish ice sculpture decoration. I am a dessert lover and always keep some space in my stomach for sweet desserts. 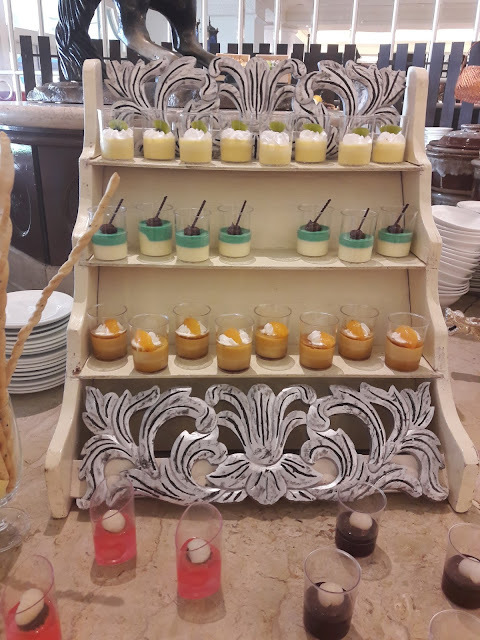 I love the uniqueness of both the traditional and modern mouth-watering desserts such as bubur cha-cha, pengat pisang bersago, caramel custard, chocolate pudding with vanilla sauce, chilled honey dew with tapioca pearls, ice cream and many more. It is always better to know more languages. Learning mandarin can help us to communicate better when we need to talk, read or write to people who are only good in Chinese. Chinese is important for your career in life and about one fifth of the people on earth speaks Chinese. 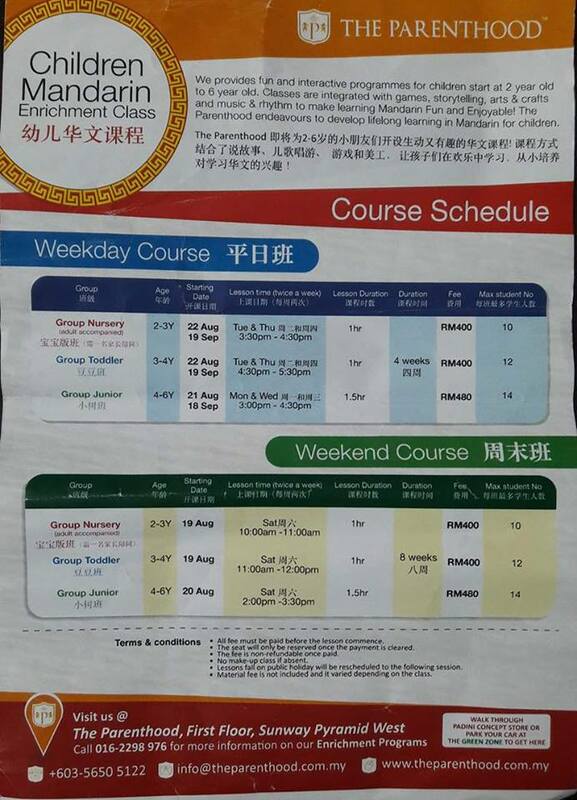 Learning mandarin can help improve children's memory skills and brain power. It is good to let children start learning Chinese at a young age. 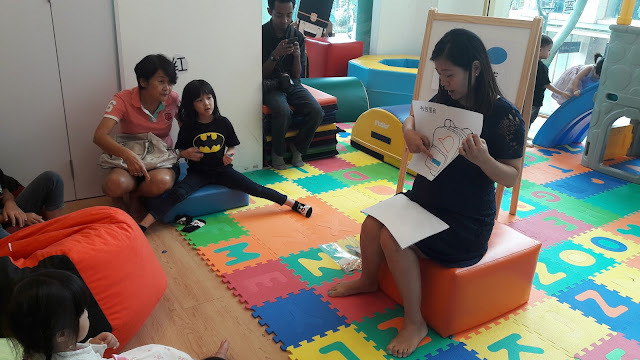 At The Parenthood there are fun and interactive mandarin classes for children from 2 years old to 6 years old. 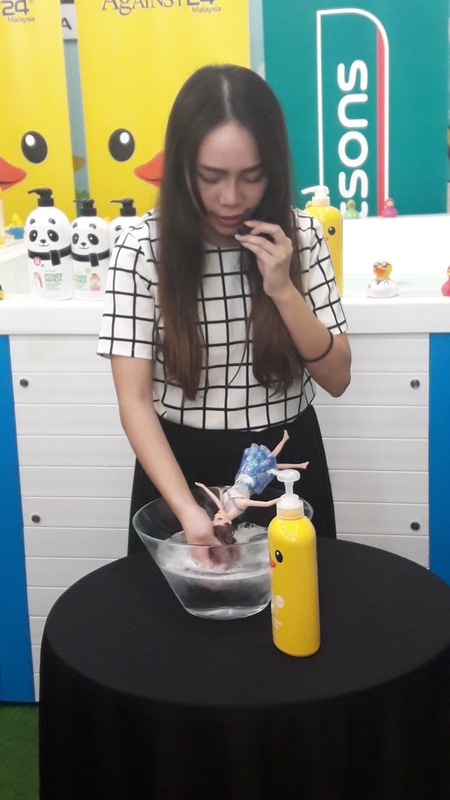 Teacher Julie Xu from Taiwan has many years teaching experience and she teaches in a fun and interactive way. Her classes are integrated with games, storytelling, arts & crafts and music & rhythm to make learning Mandarin fun and enjoyable. She uses big books with big words and colorful pictures and ask questions. 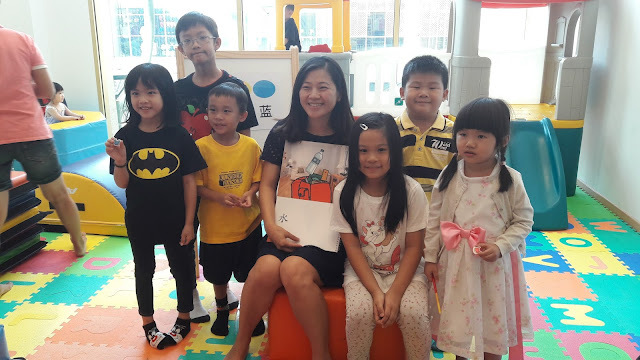 She rewards children with small gifts to encourage them to pay attention and answer questions. 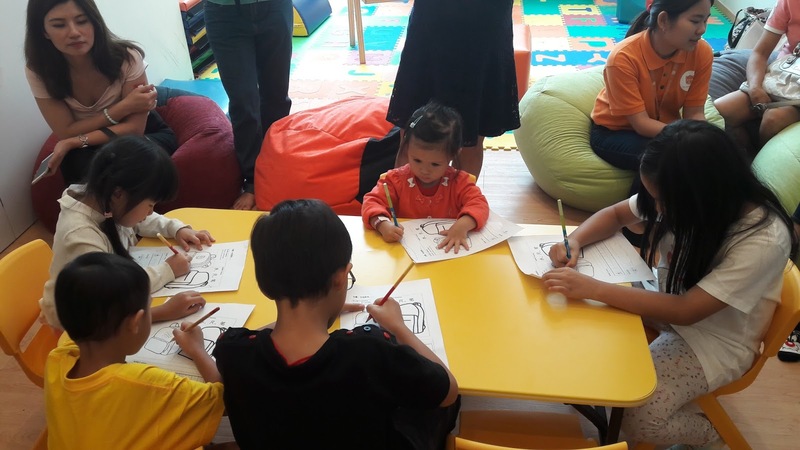 The curriculum is aligned with multiple curricula including Malaysia Chinese MOE syllabus, IB PYP and China Han Ban YCT Test and constructed on theme-based concept which relates to children's daily lives and ranges from beginner to advance level. 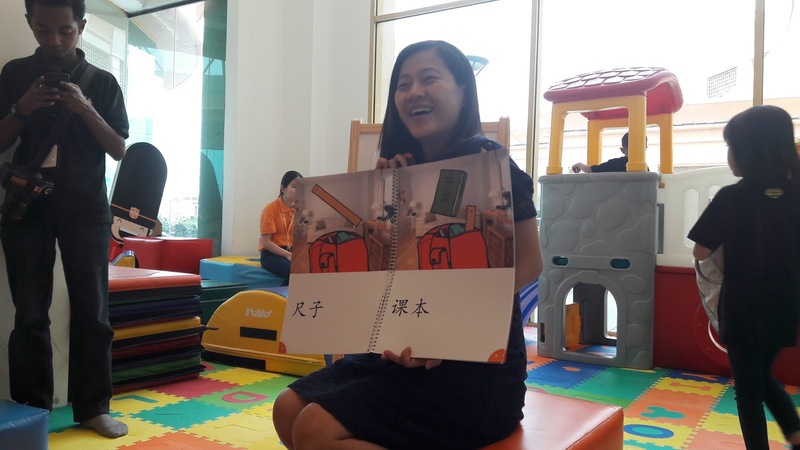 When children can speak, read and write Chinese, they can be more confident in life. The Parenthood endeavours to develope lifelong learning in Mandarin for children. For more information, you can call The Parenthood at 03-5650 5122 or visit www.theparenthood.com.my. Free trial classes are available. 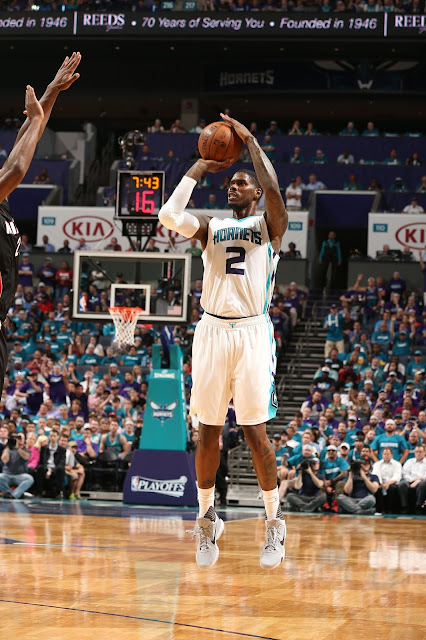 The National Basketball Association (NBA) announced that Marvin Williams of the Charlotte Hornets will travel to Kuala Lumpur to participate in the Jr. NBA Malaysia 2017 presented by Dutch Lady National Training Camp and help coach young athletes from around the country vying to be named Jr. NBA Malaysia All-Stars on 24 July 2017. The National Training Camp will be held at the 1 Utama Shopping Center from July 28-30. As part of his participation in the camp, Williams will sign autographs and interact with fans. 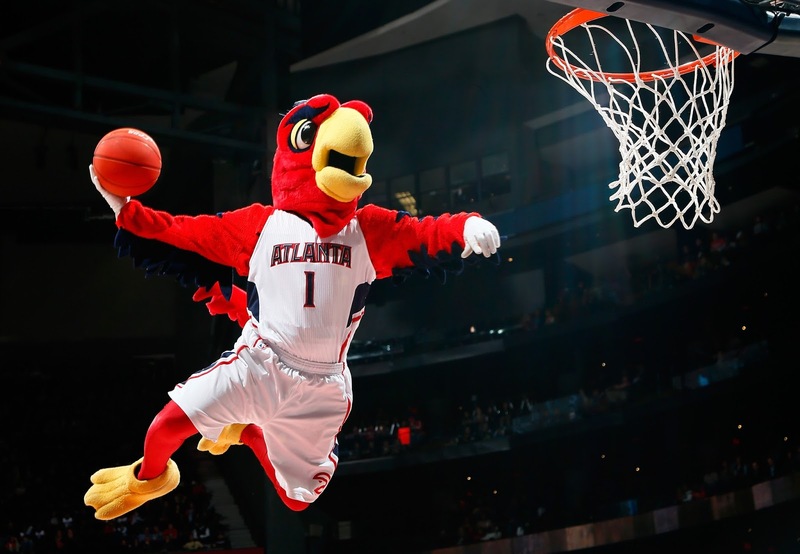 The camp will also feature appearances by Atlanta Hawks mascot Harry the Hawk. Fans of all ages can participate in free basketball games and enjoy a range of NBA experiences. 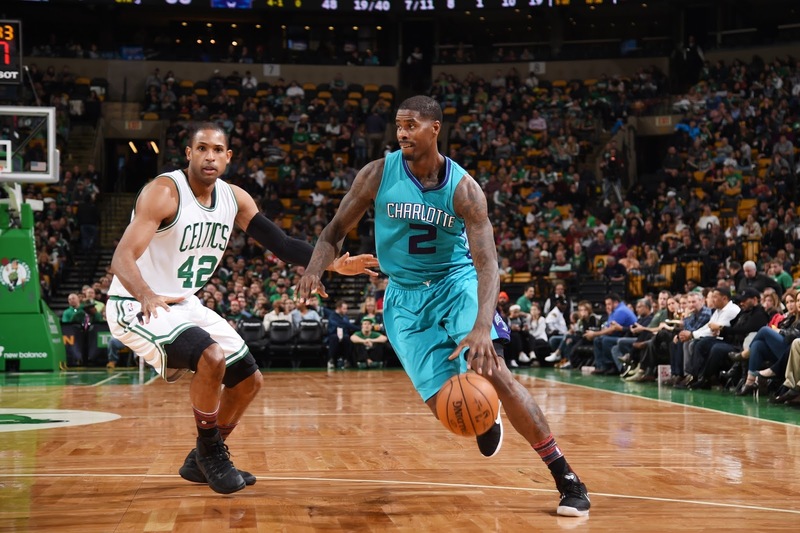 Williams, a 6’9” forward from the University of North Carolina, was selected second overall by the Atlanta Hawks in the 2005 NBA Draft. 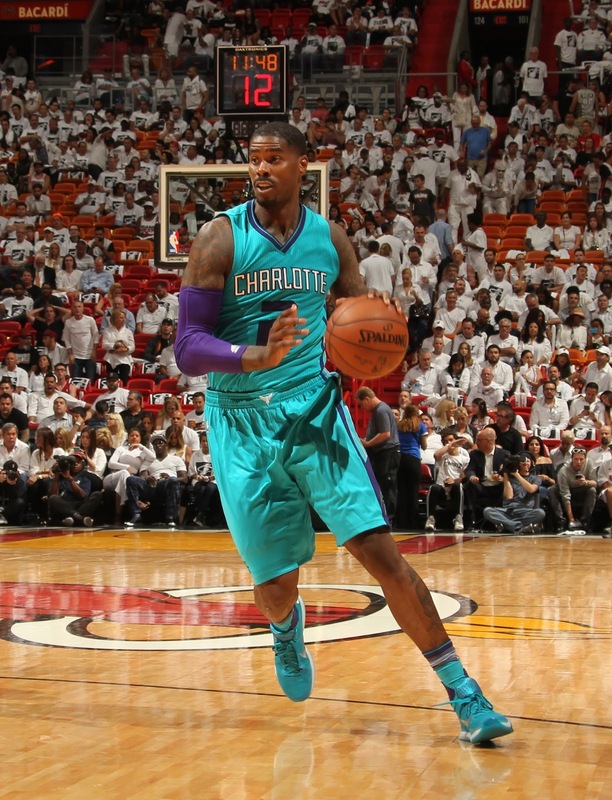 After seven seasons with the Hawks, Williams played two years with the Utah Jazz (2012-14) before joining the Hornets at the start of the 2014-15 season. Williams averaged 11.2 points per game and 1.4 assists per game to go along with career highs in rebounds (6.6 per game) during the 2016-17 season. The Jr. NBA Malaysia 2017 presented by Dutch Lady culminates with the National Training Camp, which features the top 32 boys and girls participating in advanced fundamental skills training and exhibition games. The National Training Camp finalists were selected from the top performers at the Regional Selection Camp in Kuala Lumpur. At the end of the National Training Camp, eight boys and eight girls will be selected as Jr. NBA All-Stars and will embark on an overseas NBA experience trip with fellow Jr. NBA All-Stars from Southeast Asia later this year. The Jr. NBA, the league’s global youth basketball program for boys and girls, teaches the fundamental skills as well as the core values of the game at the grassroots level in an effort to help grow and improve the youth basketball experience for players, coaches and parents. During the 2016-17 season, the NBA reached more than 18 million youth in 53 countries through its youth participation initiatives. 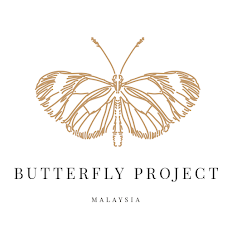 In addition to the presenting partner Dutch Lady, the event is supported by the Ministry of Education Malaysia, Spalding and Westports Malaysia Dragons. Astro is the official broadcast partner of the Jr. NBA in Malaysia. Fans can visit the Jr. NBA website at www.jrnba.asia/malaysia and follow us on Facebook at www.facebook.com/jrnbamalaysia. For all things NBA, visit www.nba.com and “Friend” the NBA’s official account on LINE by adding @nba_global. 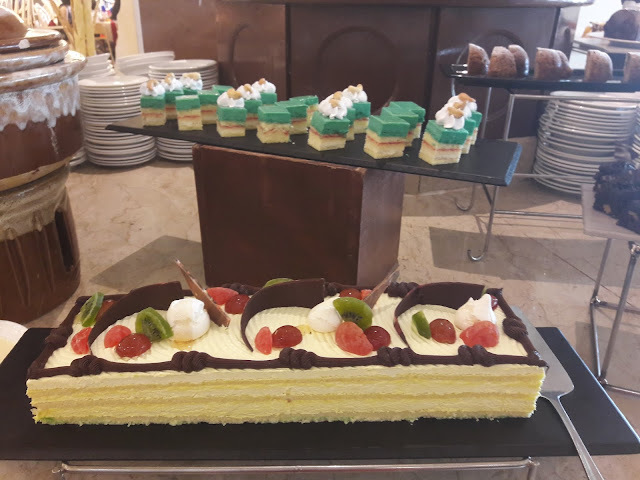 Every day Royal FrieslandCampina provides millions of consumers all over the world with food that is rich in valuable nutrients. With annual revenue of 10.3 billion euros, FrieslandCampina is one of the world largest dairy companies, supplying consumer and professional products, as well as ingredients and half-finished products to manufacturers of infant & toddler nutrition, the food industry and the pharmaceutical sector around the world. FrieslandCampina has offices in 32 countries and almost 20,000 employees, and its products are available in more than 100 countries. The Company is fully owned by Zuivelcoöperatie FrieslandCampina U.A, with 19,487 member dairy farmers in the Netherlands, Germany and Belgium—making it one of the world’s largest dairy cooperatives. For more information please visit: www.frieslandcampina.com. Incorporated in 1963, Dutch Lady Milk Industries Berhad (Dutch Lady Malaysia) is a leading dairy company in Malaysia. It is owned by one of the largest dairy cooperative companies in the world, Royal FrieslandCampina NV, a Dutch multinational dairy company. 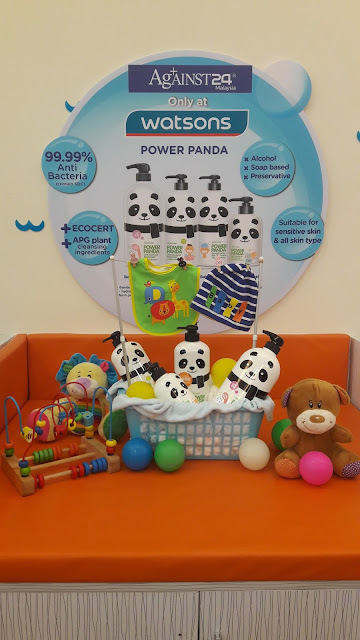 Dutch Lady Malaysia was the first milk company to be listed on Bursa Malaysia in 1968 and the first to introduce Formulated Milk Powder for Children in Malaysia in 1988. 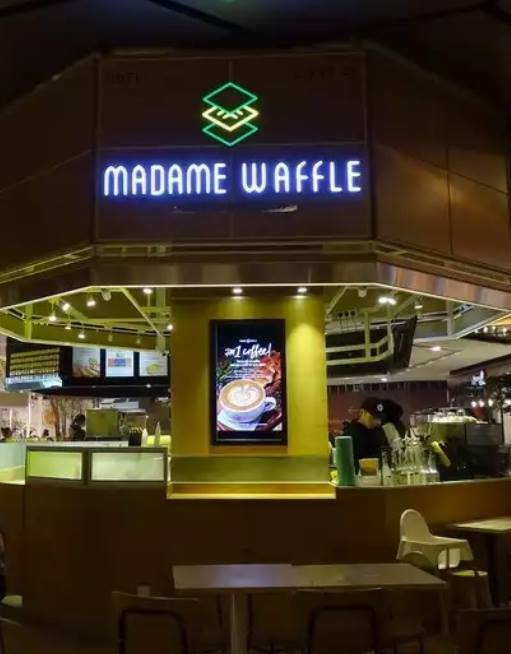 Dutch Lady Malaysia, awarded as the Company of the Year 2014 by The Edge Billion Ringgit Club, manufactures and sells a wide range of quality dairy products for the home and export market, with all products enjoying a strong following in brands like Dutch Lady and Friso Gold. 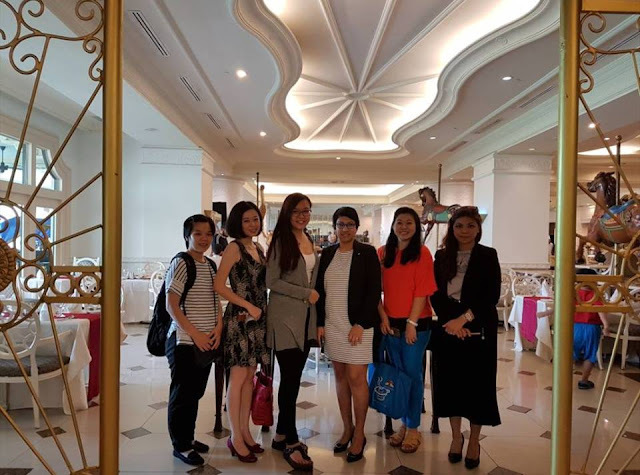 Through a unique collaboration between FrieslandCampina and four international research teams/universities, the South East Asian Nutrition Surveys (SEANUTS) study was commissioned to study the nutritional status and insufficiency thereof found to be present in South East Asian children up to 12 years of age. More information can be found on www.dutchlady.com.my. Drink.Move.BeStrong is Southeast Asia’s first integrated activation and advocacy campaign which aims to cultivate an active and healthy lifestyle among children through play, sports and proper nutrition. 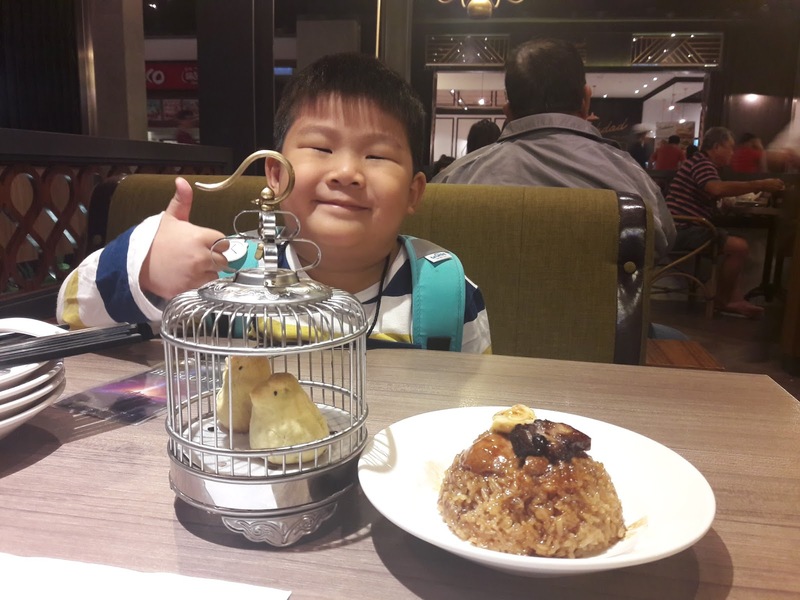 This campaign is founded upon the findings of FrieslandCampina’s South East Asian Nutrition Survey (SEANUTS) on nutrition in four countries – Indonesia, Malaysia, Thailand and Vietnam –to acquire an understanding of the nutritional status and dietary intake of children up to 12 years of age. The key findings show that high percentage of Vitamin D insufficiency among the children despite the amount of available sunlight, low levels of physical activity and 30-40% of kids are not getting enough of the right nutrition, regardless of age, location or income. This multi-stakeholder, multi-channel campaign encourages children across the region to drink two glasses of milk a day and spend an hour a day on outdoor exercise. This regional campaign offers a host of activities including the distribution of free milk cartons to schools, a dedicated health and nutrition education programme and Jr NBA camps. meal, this is a way that KRR is showing support for the Malaysian athletes! being a rich source of vitamins. 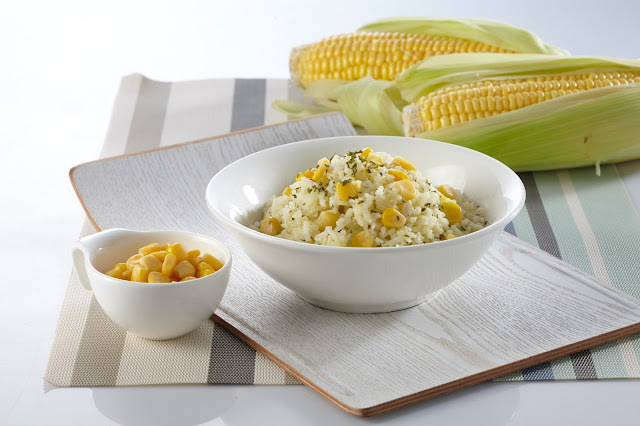 adequate portions from different food groups in our recommended daily intake is essential. 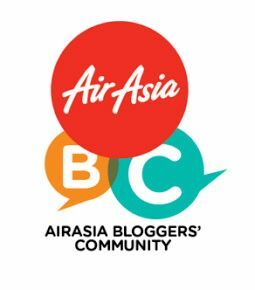 also visit www.krr.com.my or connect to www.facebook.com/krrmalaysia. There is a wide variety of body wash and shampoo brands in the market and sometimes parents are spoilt for choice when it comes to choosing the right skin wash range which is safe and effective for the whole family. I attended the Against24 product launch at Sunny Ducky, Baby Spa & Gym at Old Klang Road two days ago. 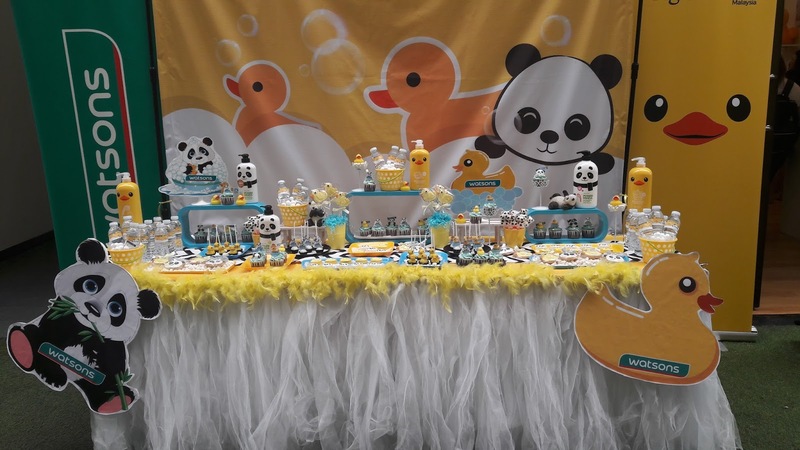 The Rubber Duck & Power Panda bottles are so cute. 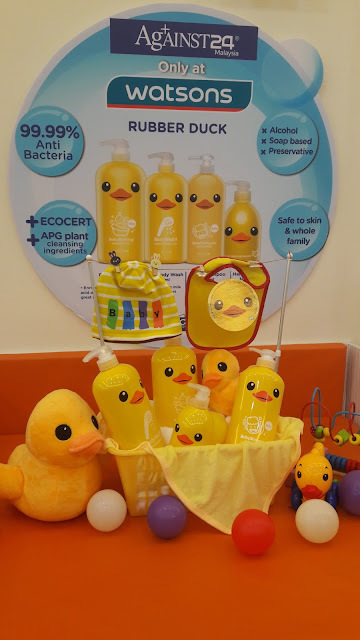 Against24 is the top-selling bathing product brand from Taiwan and offers a range of alcohol, preservative and soap-free bathing products providing optimum anti-bacterial protection from head to toe for the whole family. The product range of Against24's carries the patented SDC Ag+ formula which is the best and safest anti-bacterial agent but at the same time mild and gentle to the skin. 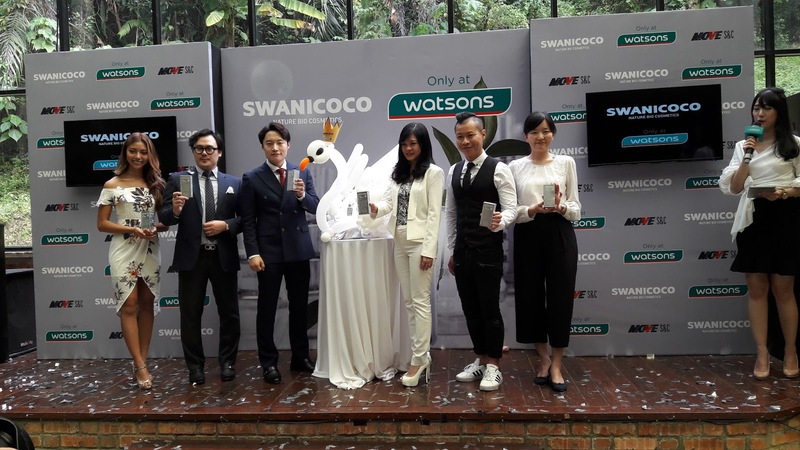 The product launch was attended by Caryn Loh, General Manager (Country Head) of Watsons Malaysia, Danny Hoh, Customer Director of Watsons Malaysia, Lee Joyce, Marketing Director of Against24 along with the members of the media and blogger community. 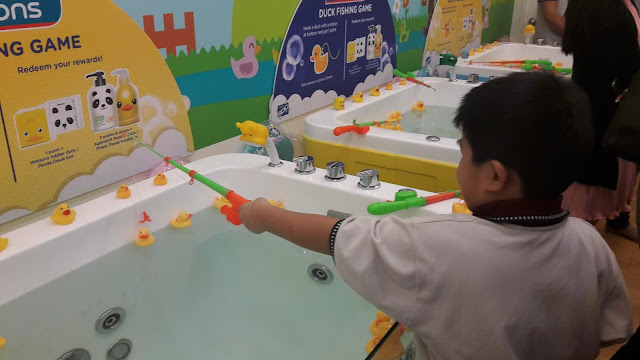 There were fun activities like decorating the recycle bag and duck fishing game where if you managed to fish 2 ducks with an X on the bottom with only 3 attempts, you can win either a Rubber Duck or Power Panda hand wash.
"Providing the best brands in family health skin care is one of our commitment at Watsons Malaysia in serving our valued customers. 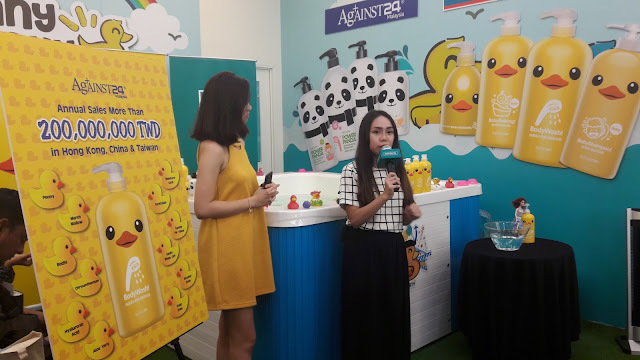 Against24 is a unique anti-bacterial bathing care brand that is safe and effectively proven to safeguard families against viruses and bacteria, certified by the US Environment Protection Agency and the Ministry of Health and Welfare of Taiwan. 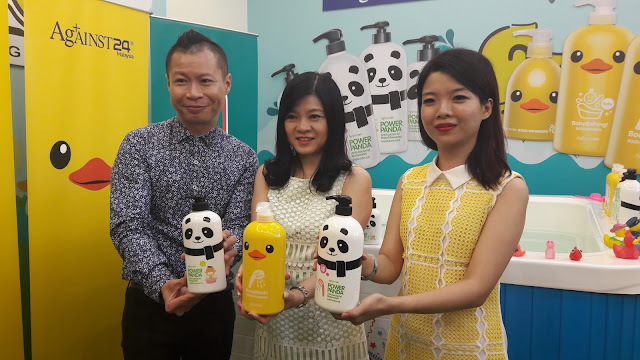 We will continue to partner with the right brands such as Against24 to deliver the best to our customers," said Caryn Loh, General Manager (Country Head) of Watsons Malaysia. "The Rubber Duck and Power Panda bathing series by Against24 has been a top three best-selling product in Watsons Hong Kong, China and Taiwan. 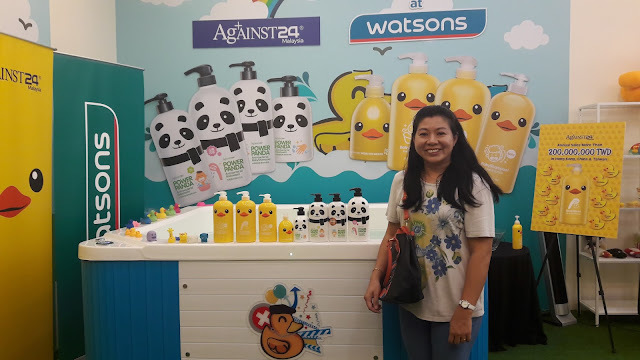 The partnership of Against24 with Watsons Malaysia is ideal, as the brand provides a total family care wash range which appeals to the customers of Watsons Malaysia catering for the whole family," said Lee Joyce, Marketing Director of Against24. 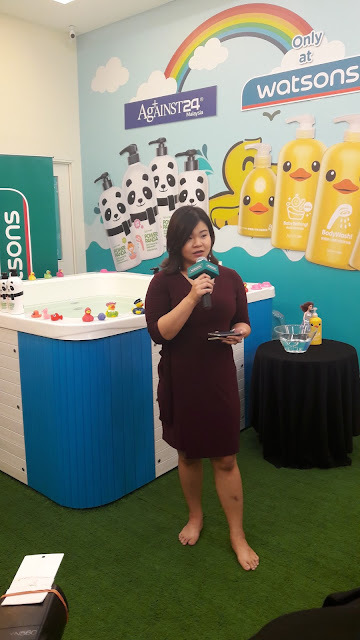 According to Vanessa Heng, Head of Key Account of Against24 who presented the range of products to the media, the patented formulation of the SDC Ag+ defends major pathogens in 30 seconds, with the anti-bacterial rate of up to 99.999%. Certified by USA EPA (Environmental Protection Agency) and Taiwan's Ministry of Health, its pollution and toxic free antimicrobial formula is gentle to the skin and able to provide up to 24 hours antibacterial protection. There is no side effects, is odourless, non-corrosive and suitable for medical use. 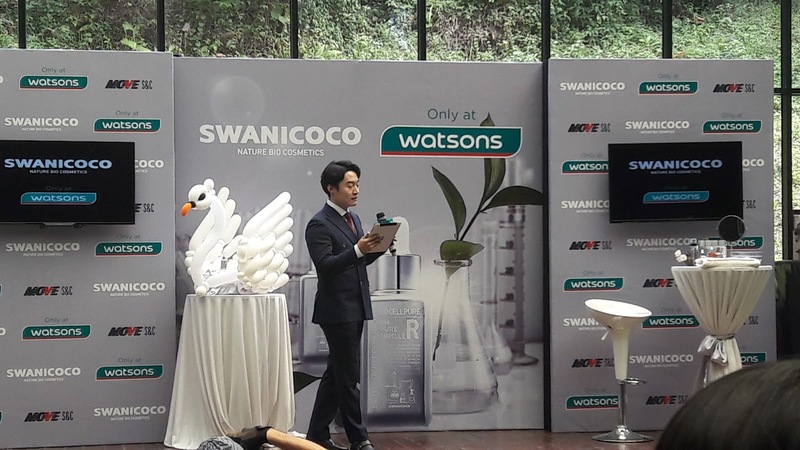 Swanicoco, a brand that began making naturally fermented soaps which now is South Korea's leading cosmetics company officially launched its products at an event at The Glass House, Seputeh in Kuala Lumpur on 21 July 2017. Swanicoco's products uses natural bio ingredients replacing artificial chemical ingredients. Natural ingredients in skin care products are dermatologically safe and earth-friendly. Swanicoco provides the assurance of providing excellent benefits to the skin, including regenerating and controlling skin elasticity using organic herbal and botanicals sourced from all over the world. 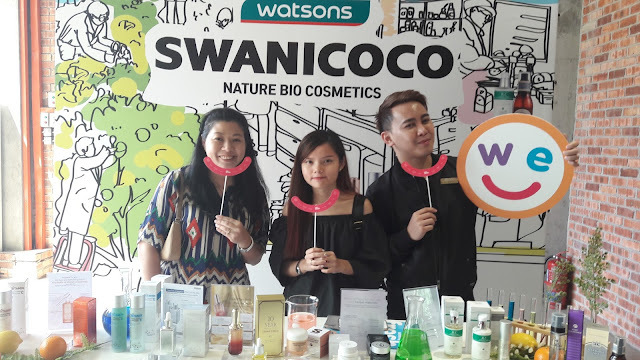 “With the growing consumer interest in using natural and organic beauty ingredients, it was befitting to introduce Swanicoco to Watsons Malaysia, known for its unique bio-based formulation. At Watsons, we continually listen to our valued customers and strive to provide the latest skin care brands from around the world. The product range complements the innovative approach by Watsons Malaysia in constantly catering to the needs of our customers,” said Caryn Loh, General Manager (Country Head) of Watsons Malaysia. 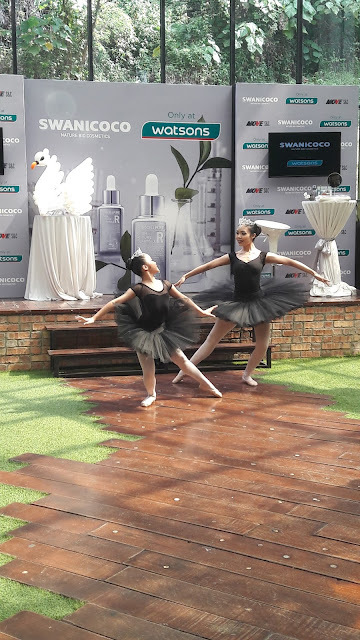 The event started with a special ballet swan lake dance performance, complementing Swanicoco's brand name, meaning pursuing the elegance of a 'swan' (feminine), and 'coco' meaning coconut (offering botanical natural cosmetics) as well as 'cuteness' in French. Some of Swanicoco's product range including the Bitamin E extra matt emulsion, Pore Clearance, A.C control care skin toner, best-seller Gold plant stem pure ampoule, RH-EGF Pure ampoule and the Extra hydrating swan cream were showcased with a live skin routine care demonstration session conducted by Swanicoco's skin expert flown in from Korea, Miss Adia Song. 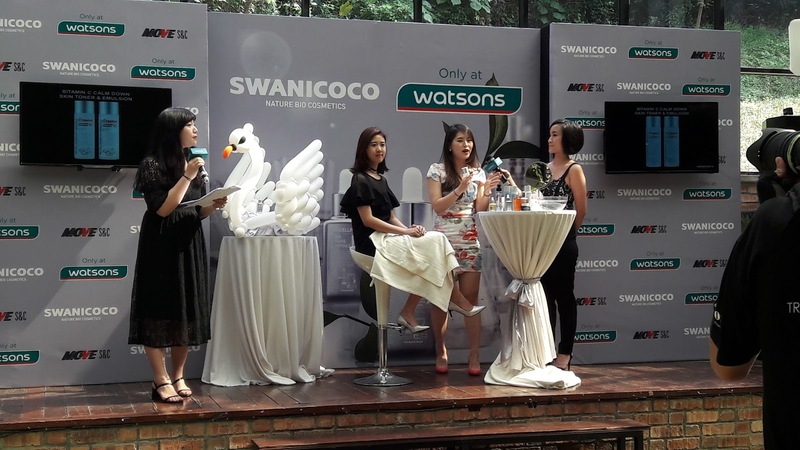 Members of the media and bloggers also got a chance to understand the brand in fun games and activities during the event, such as “Get to Know Swanicoco”, “Swanicoco Memory Game” and posting of photos and hash tagging the event. According to Kevin Hyun, General Manager of Swanicoco Korea, Swanicoco caters to all skin types and challenges and is it the only brand trademarked with a special anti-aging fermentation process which gives a differential product offering to Watsons Malaysia, a leading health and beauty retailer in the country. 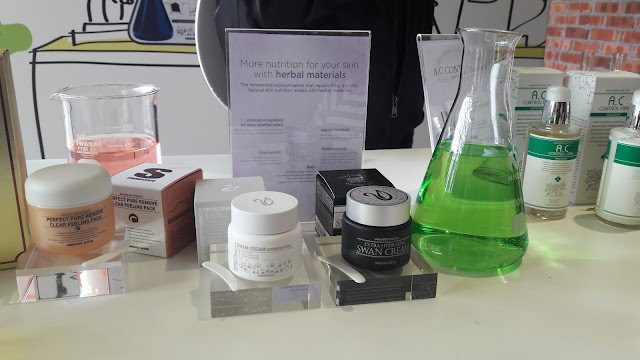 He also proudly mentions that one of Swanicoco's star product, the RH-EGF Pure ampoule promotes epidermal cell renewal with the Noble-Prize formulation of the Epidermal Growth Factor (EGF). The event was officiated by Caryn Loh, General Manager (Country Head) of Watsons Malaysia, Danny Hoh, Customer Director, Watsons Malaysia, Foo Hwei Jiek, Head of Trading, Watsons Malaysia, Kevin Hyun, General Manager of Swanicoco Korea and Charles Kim, Managing Director of MOVE S&C Sdn Bhd in the official launch of Swanicoco brand of products to the media and blogger community. Swanicoco products are available at selected Watsons stores and at Watsons online store http://www.watsons.com.my/. If you have been following my blog, this is part 2 of my exciting 36-hours food trail at Sky Avenue, Resorts World Genting. If you have not read my earlier blog post, click HERE to read it. 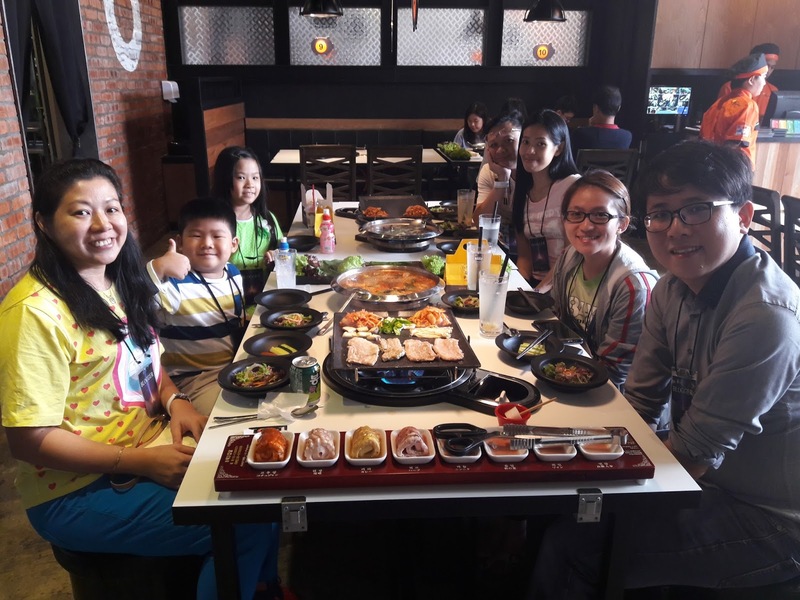 My children and I woke up early after a comfortable, good sleep at First World Hotel because we wanted to try our best to finish dining at 20 more restaurants on the second day. I looked through the Sky Avenue Directory to plan which restaurants to go and where the restaurants were located before we started our food trail. We went straight to Babajia on Level 1 of Sky Avenue because we knew that it opens 24 hours. 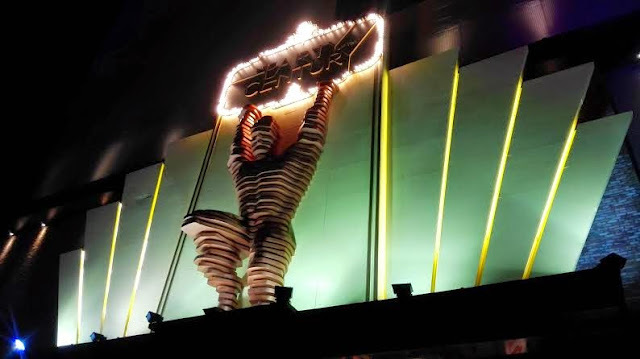 There are a few restaurants which opens 24 hours here so you will not go hungry when you visit Resorts World Genting. 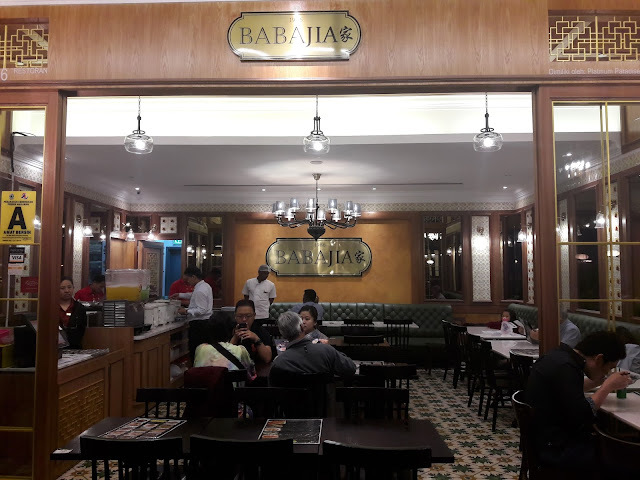 Babajia serves Baba Nyonya food. We had Bubur Cacar, Char Kway Teow and Nyonya Laksa. 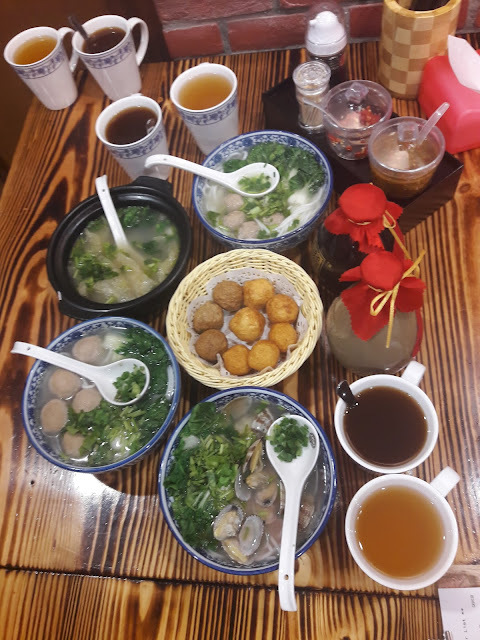 I requested for mini portions for all 3 dishes. I liked the Nyonya Laksa because of the tasty curry soup. 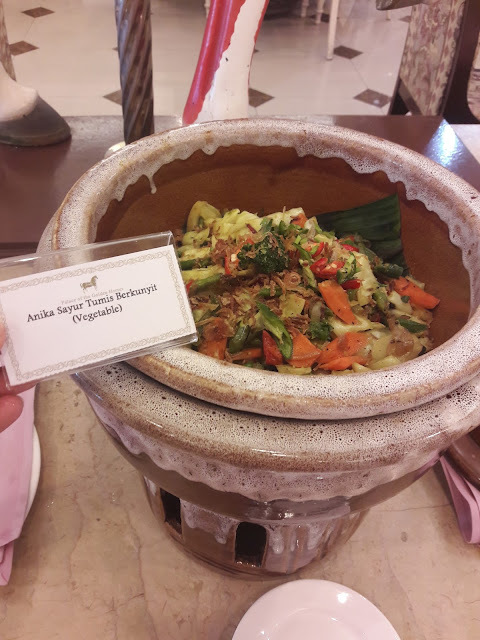 My daughter liked the Bubur Cacar with lots of coconut milk and soft, sweet potatoes. Across Babajia was WanHoi Yamch'a, a chinese dimsum restaurant. Luckily we did not need to queue up because we were early. This restaurant has the cutest dimsum I have ever seen. 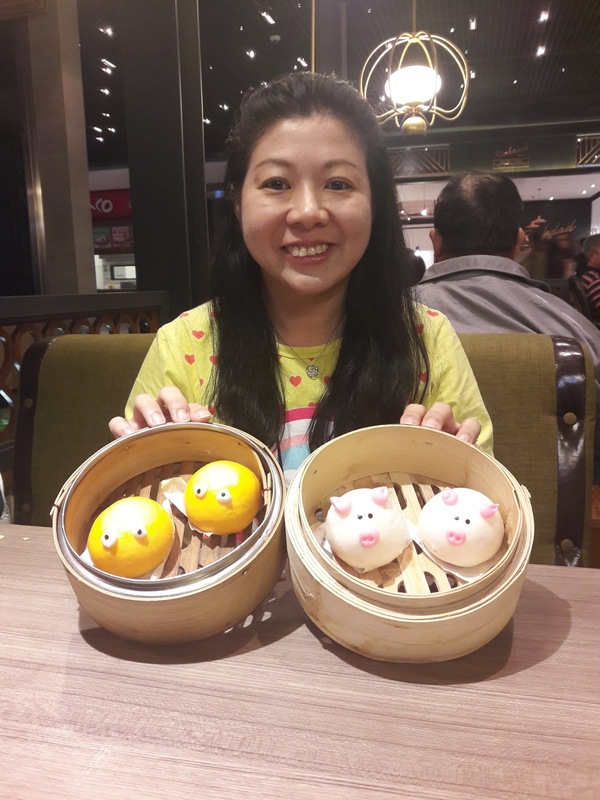 I ordered the Custard Pau which was very delicious with smooth custard fillings, BBQ Pork Bun in Zhu Zai (pig) shape, Salted Egg Yolk with Lotus Paste Fillings which came in the shape of 2 birds in a small cage and Glutinous Rice with Abalone & Chicken. 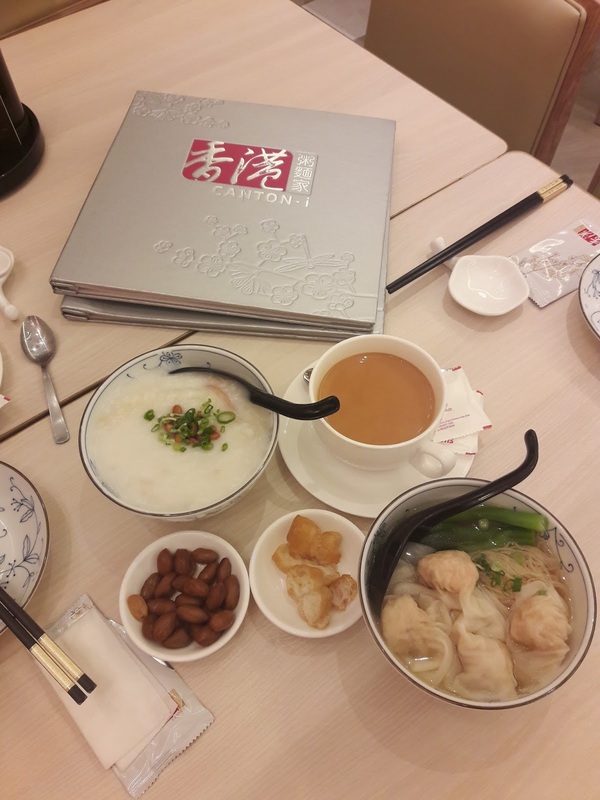 The food here was very good and a must try if you love to eat dimsum. Our next stop was RichDad. I was glad to meet Khir Khalid, my blogger friend there. We shared the food because I was quite full. 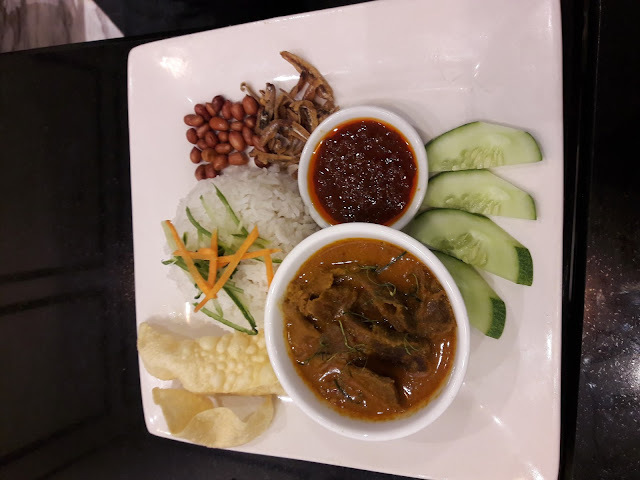 We were served with Rendang Beef Rice and Grilled Chicken Masak Merah. 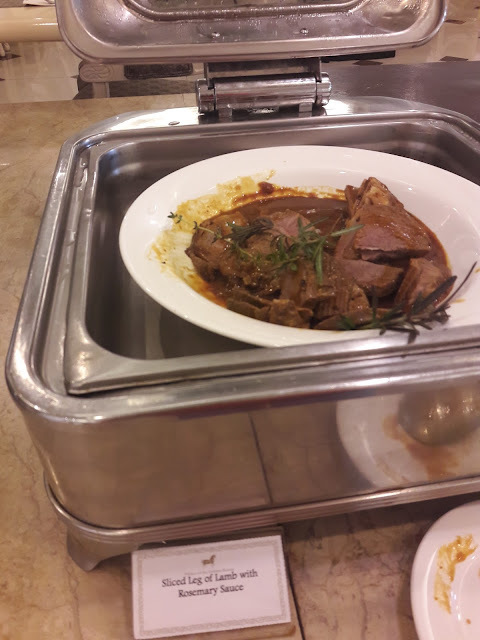 The Rendang Beef was very delicious and the Grilled Chicken meat was very tender. 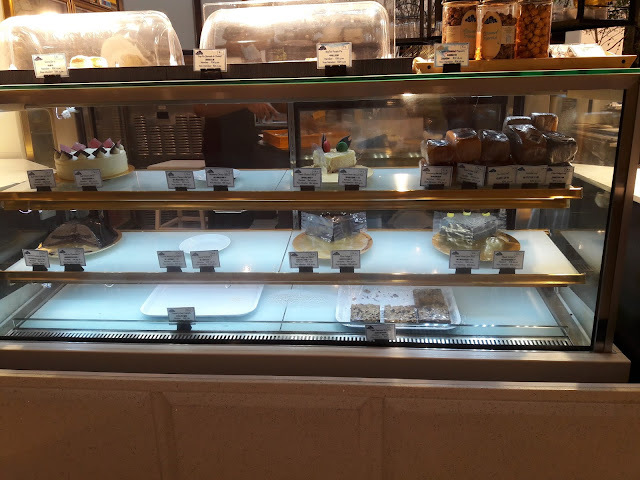 After these few restaurants, we were quite full so we chose to have some desserts. 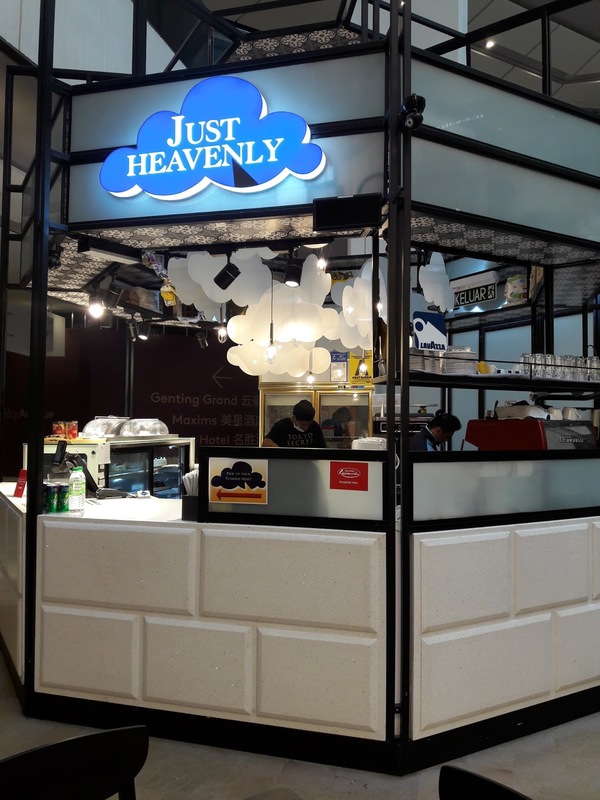 We went to Just Heavenly to get a piece of Blueberry Cheesecake. 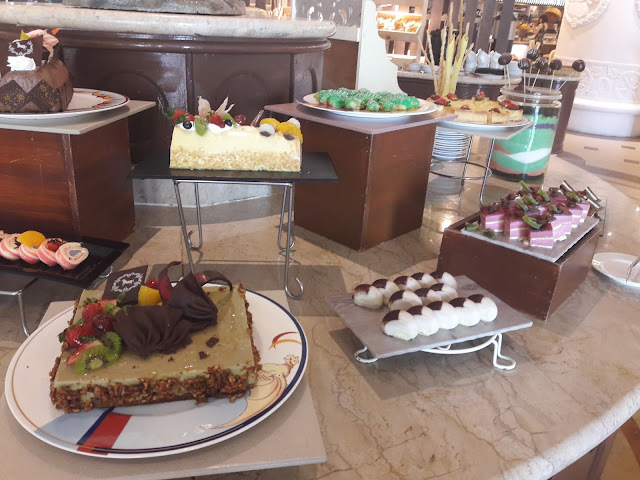 There were many choices of cakes to choose from. The Blueberry Cheesecake was very moist, smooth and delicious. 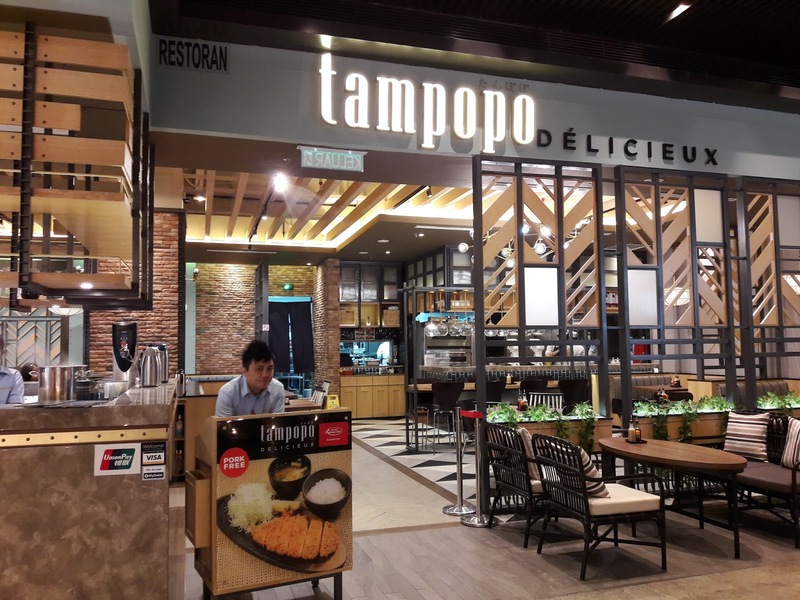 We decided to try some Japanese food at Tampopo. 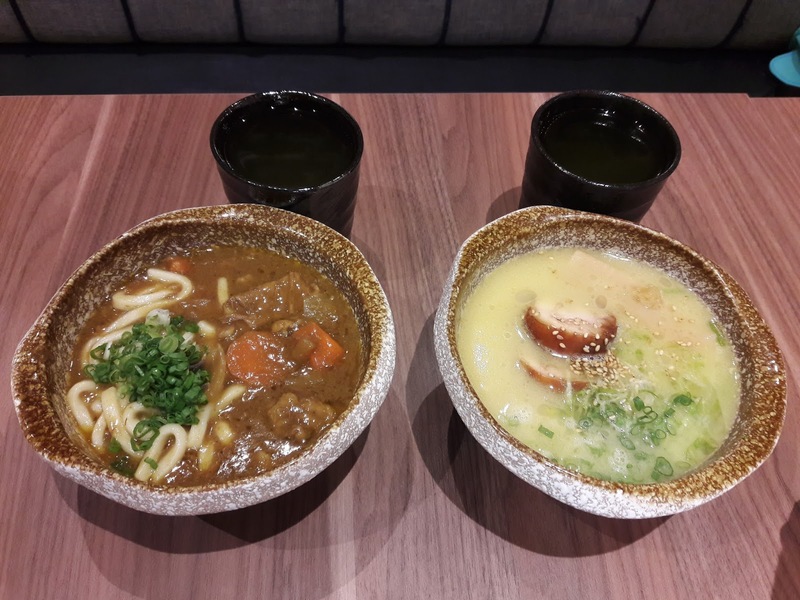 We had Beef Curry Udon and Mini Chicken Ramen. The udon noodle was very unique and has a special delicious taste. The Mini Chicken Ramen's soup was very tasty. 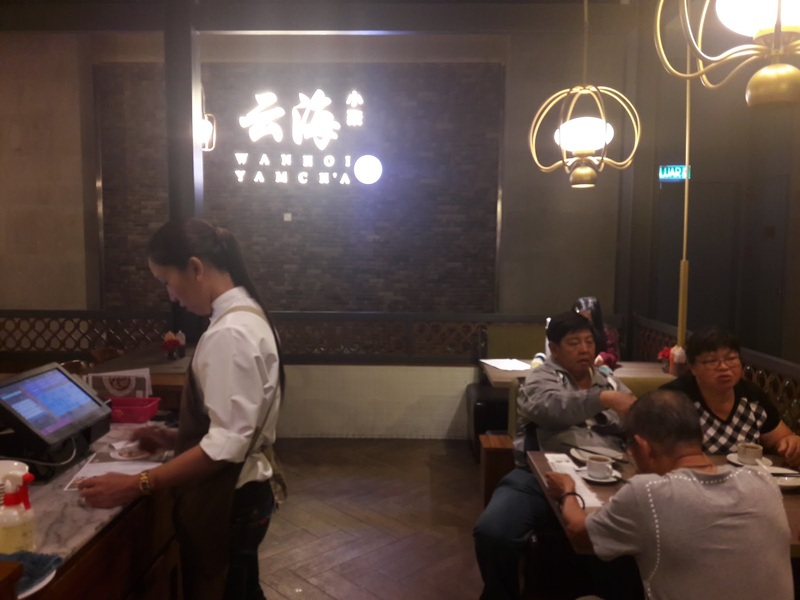 Tai'Bae which is also located on Level 1 of Sky Avenue serves Taiwanese food. 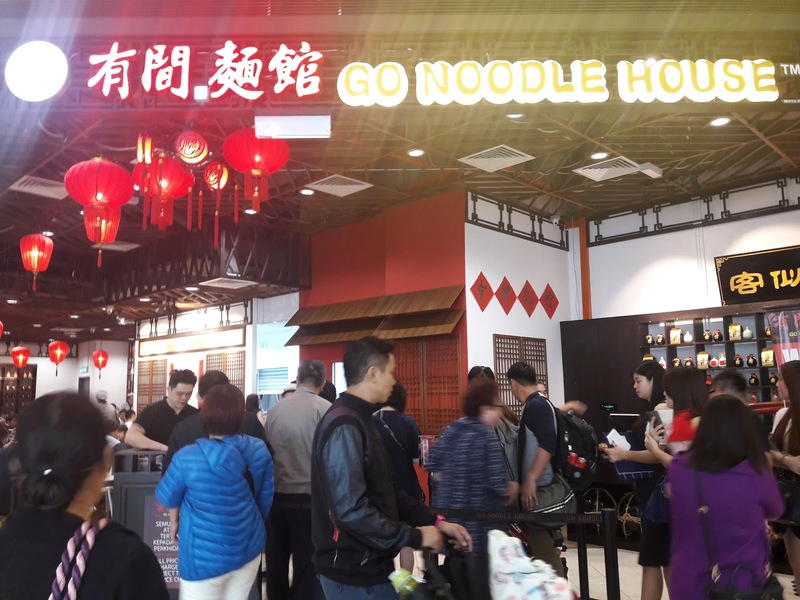 If you love to eat Chinese food like rice and noodels, you can try the food here. 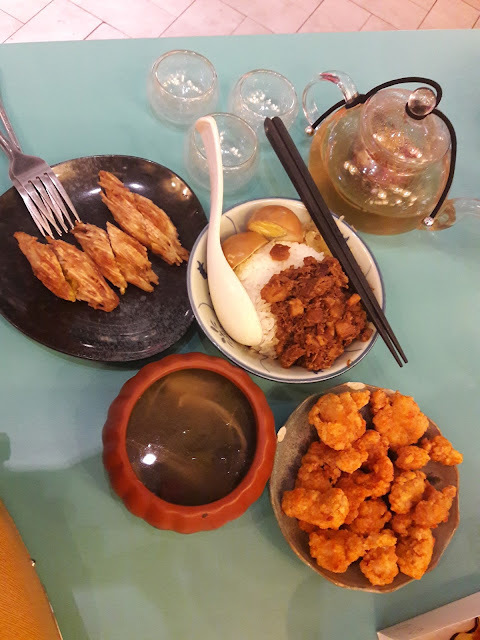 We had 'Lu Rou Fan' & soup of the day, Taiwanese Style Popcorn Chicken, Yam & Pumpkin Puffs, Eight Treasure Tea and Lemon Lime Jelly. My son loved the Taiwanese Style Popcorn Chicken was very crunchy and tasty. 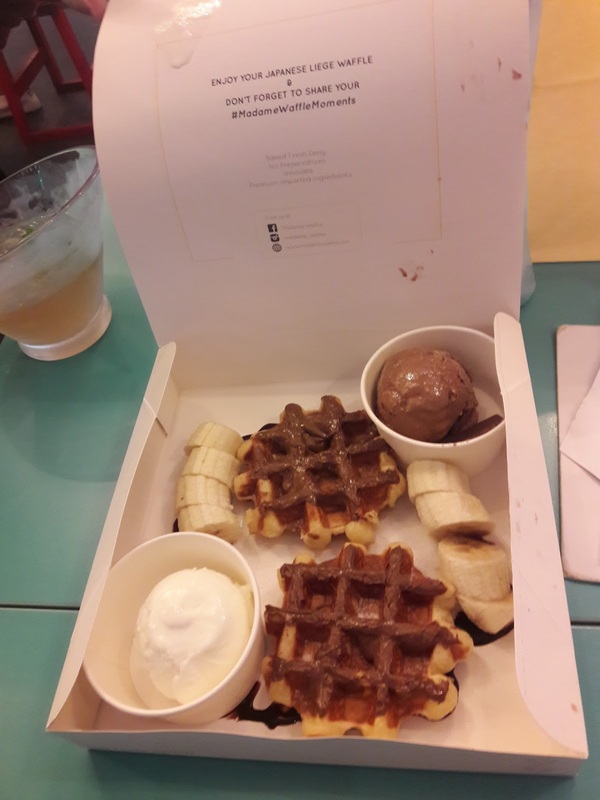 While we were waiting for our food at Tai'Bae earlier, I walked over to Madam Waffle to get the Banana Nutella to save some time. The waffle was very delicious and I wished I had more room in my stomach to eat more. 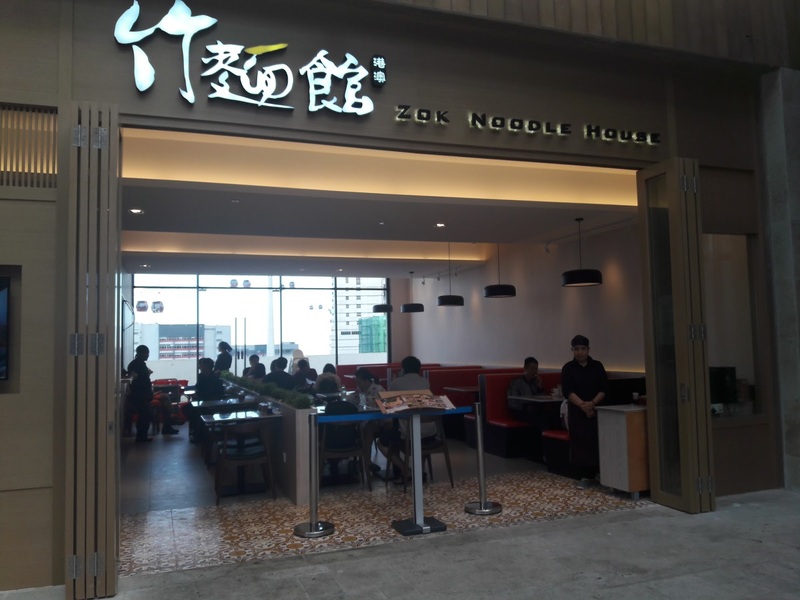 We went up to Level 4 of Sky Avenue to Go Noodle House because the bloggers session was from 11am-12pm. There was a long queue outside this restaurant but luckily we did not have to wait. If you love to eat meat ball noodles, you need to come here and taste this. 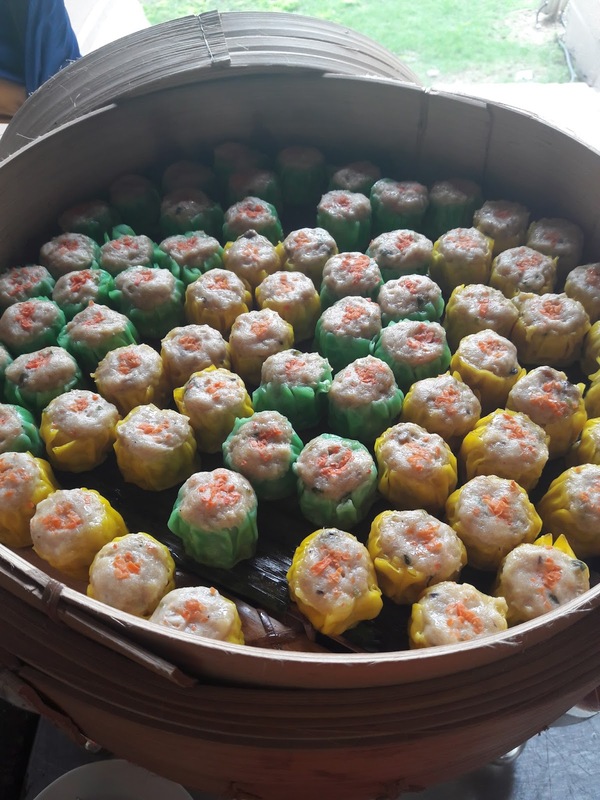 I liked the Bursting Meat Ball with spicy fillings because it tasted very delicious and was not too spicy. 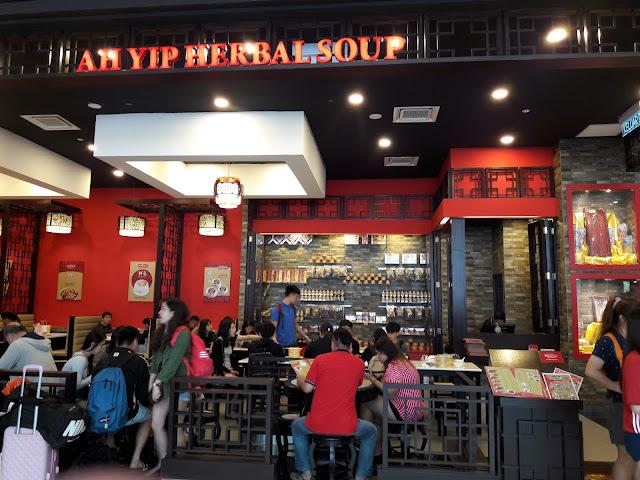 Since Ah Yip Herbal Soup was just next to Go Noodle House, we walked over to dine there. 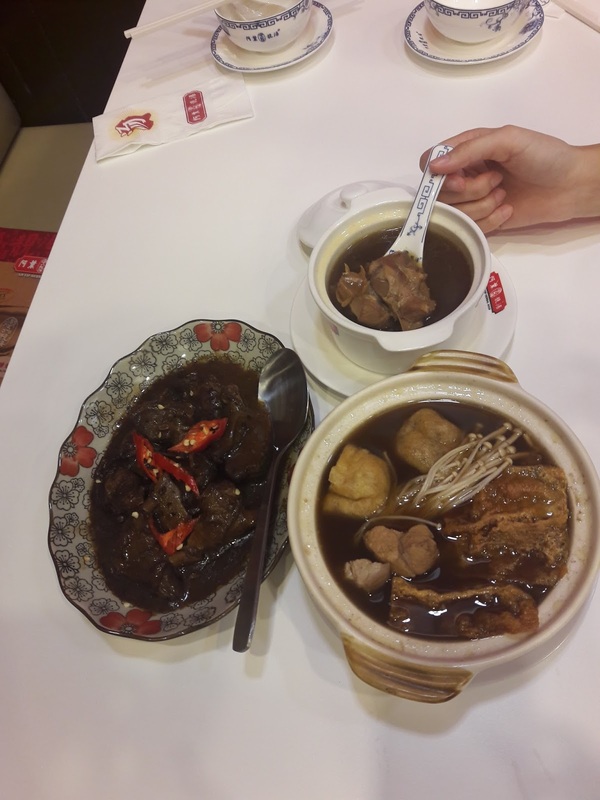 The Ginseng Stew Chicken Soup was the best soup I have tasted so far. I was quite full and actually wanted to taste 1 spoonful but could not resist drinking more. Even though 1 bowl is priced at RM 35.20, it is worth to drink because it is very good. The Ipoh Bak Kut Teh and Bean Paste Duck was delicious too. BMS Organics is known to serve healthy food and I was worried the food would not taste good but I was wrong. 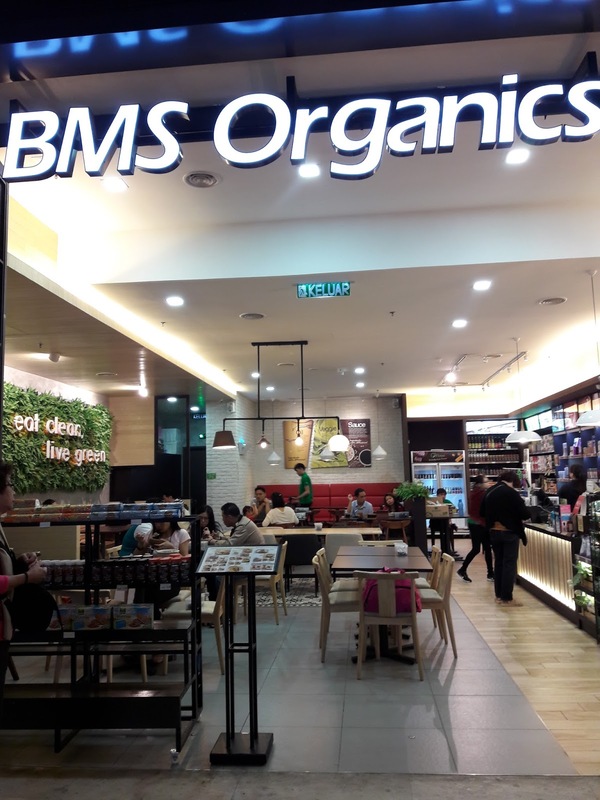 BMS Organics serve organic food without MSG, preservatives and harmful chemicals. 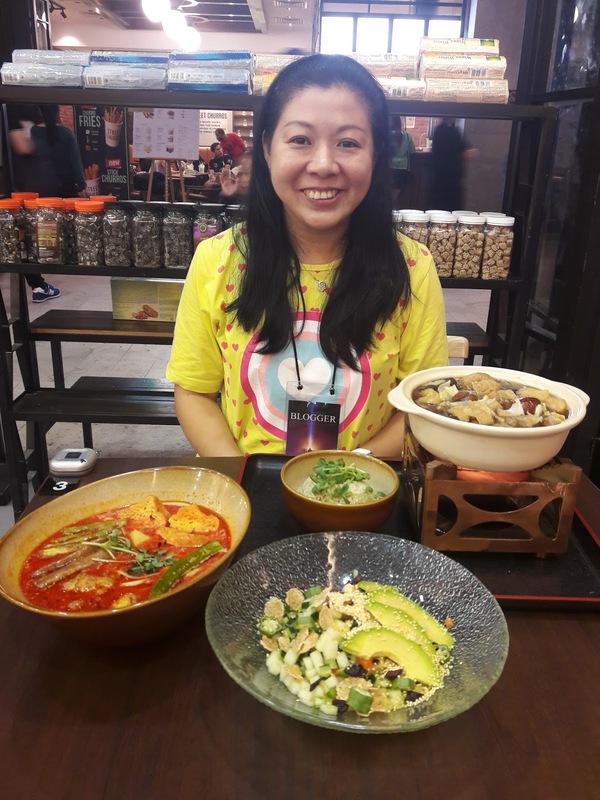 We tasted the Organic Harvest which was healthy salad, BMS Soy Milk Curry Laksa Handmade Noodle which was quite tasty and Herby Broth Pot with Multigrain Rice which was sort of like Bak Kut Teh without meat. 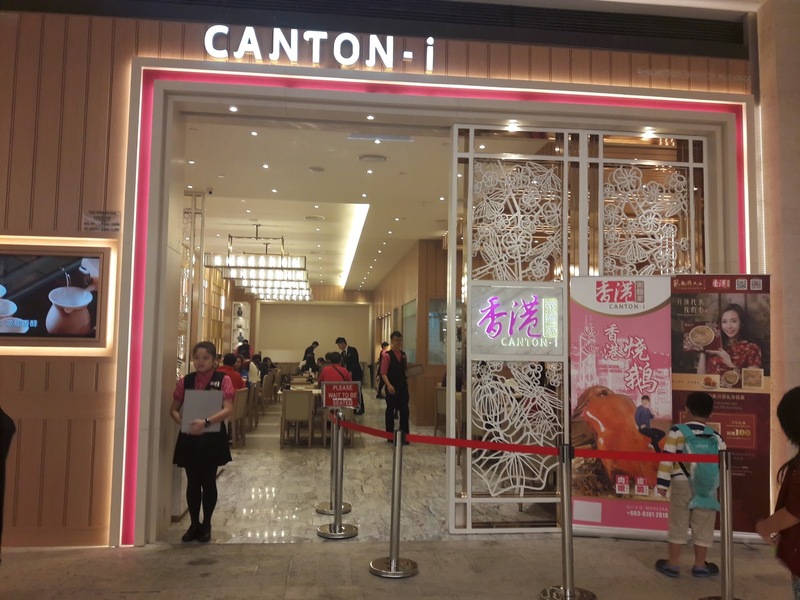 Canton-i, under the Dragon-i group of restaurants serves delicious authentic Hong Kong cuisines. 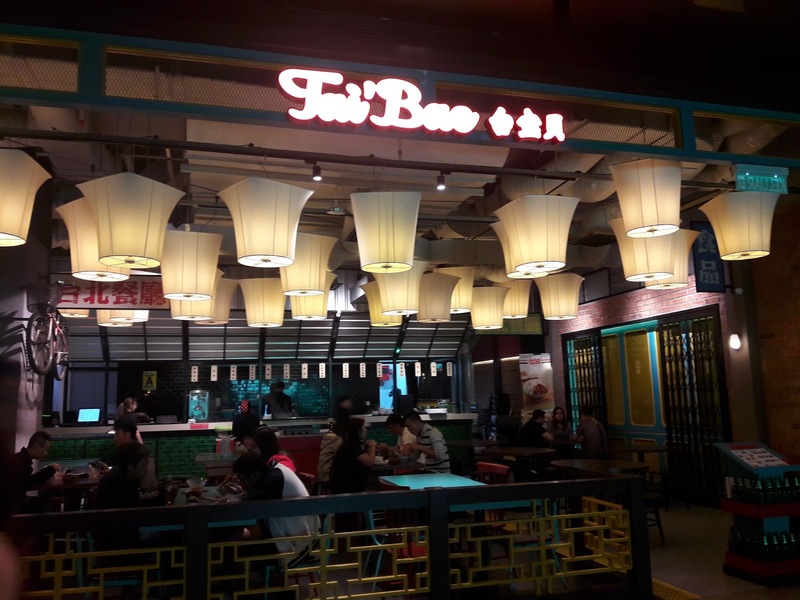 When you come in, you need to walk slowly because the floor is quite oily and slippery but the food served here is very delicious. If you crave for the Hong Kong roast goose, you do not need to travel to Hong Kong, just come over to Canton-i. The Cuttlefish and Mixed Meat Congee was my daughter's favorite and she almost finished the whole bowl. 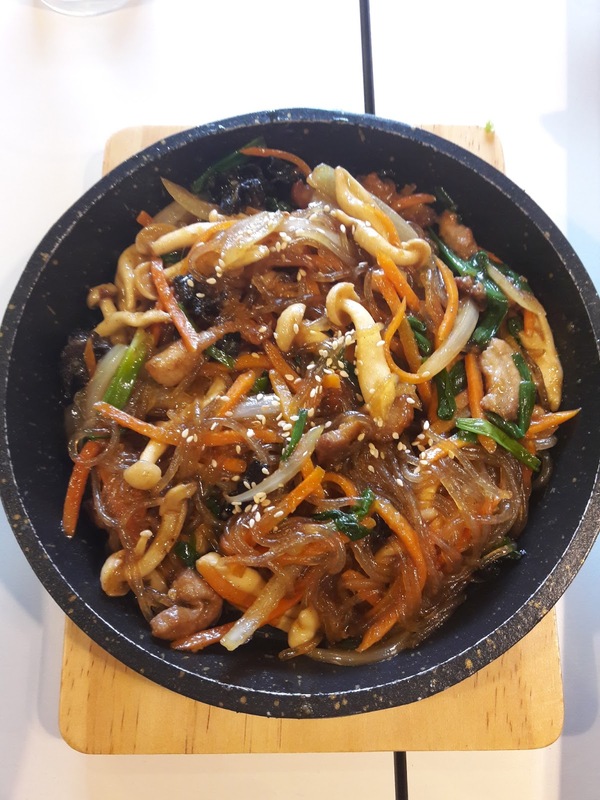 She said it was very tasty and unique with lots of cuttlefish and meat slices. The taste was very delicious and different from other restaurants. 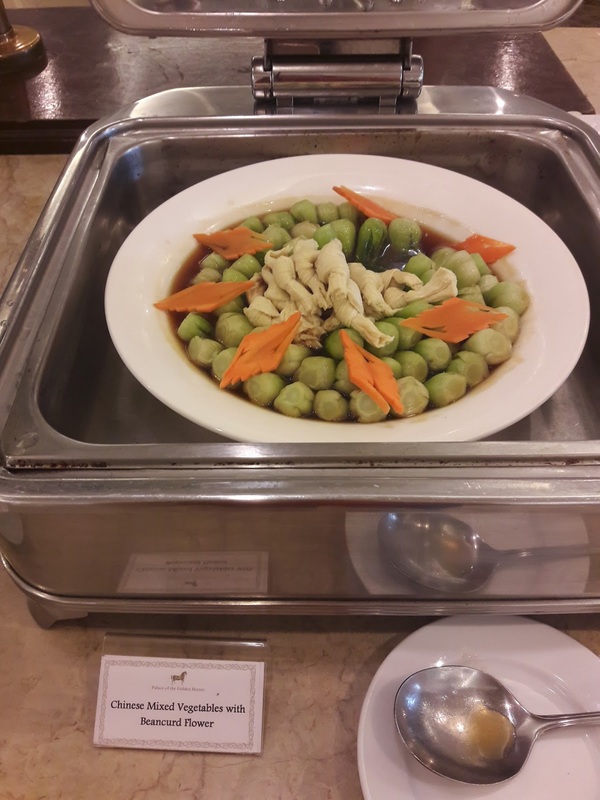 I liked the Wonton Noodles because the wontons were big with tasty fresh prawn fillings. 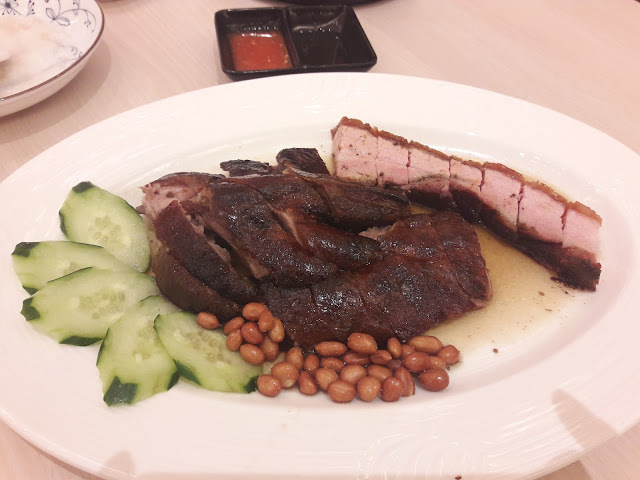 This combination of Roast Goose and Roast Pork Belly was very delicious. Both the Roast Goose and Roast Pork Belly meat was tender and soft with crispy skin. 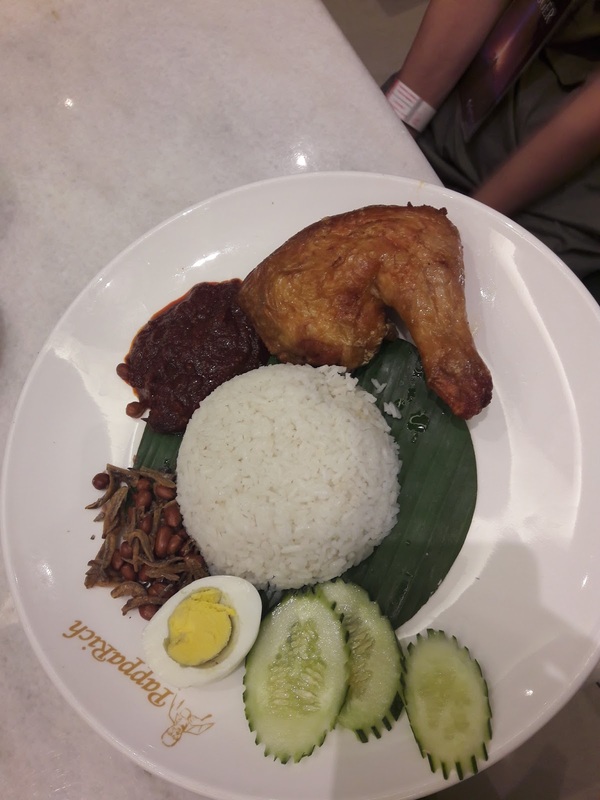 Even though this dish is priced at RM 105.00, it is still much cheaper than travelling to Hong Kong to eat it. 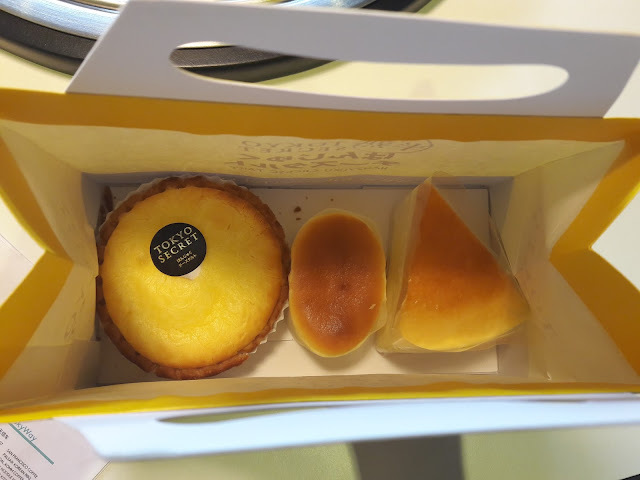 After dining at Canton-i, we walked to Tokyo Secret to get the smooth, delicious Cheese Tarts and Cheese Cakes. These were my son's favorite and he ate most of it. 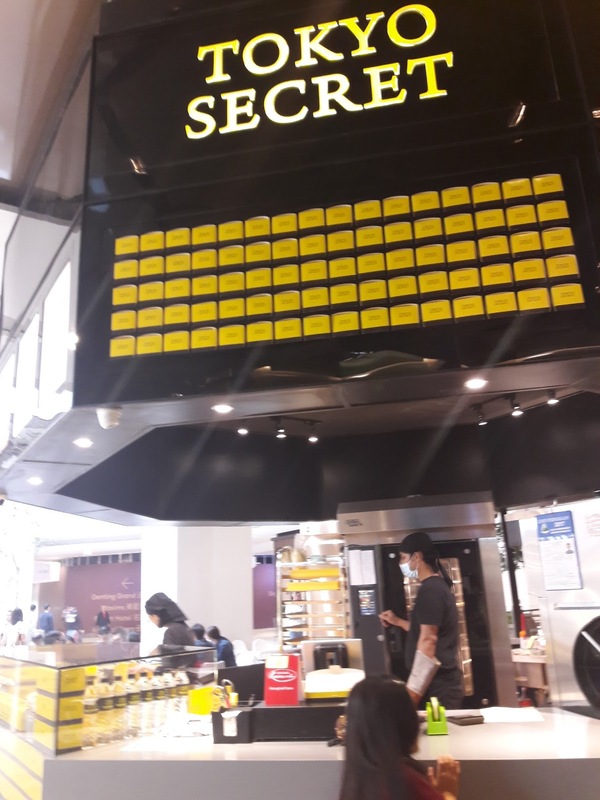 Tokyo Secret uses high quality cheese imported from Japan and the cheese tarts and cakes are freshly baked from the oven. 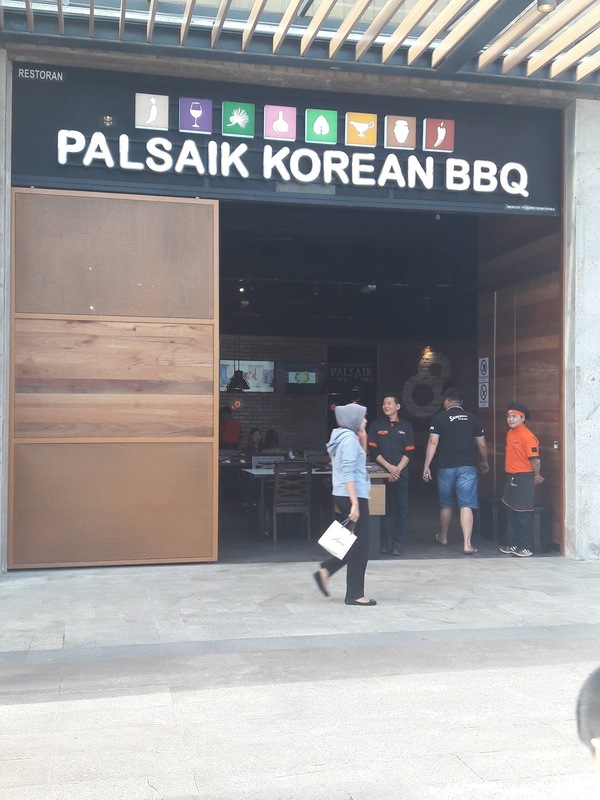 My next stop was Palsaik Korean BBQ. Dining here reminded me of my Korea trip with my family 4 months ago because I dined at Palsaik Korean BBQ in Seoul, Korea. I still remember there are those round seats with the top part which can be open to put your bags or things in it. It's a great idea to save space when you do not know where to put your belongings while eating and you do not need to worry about people stealing your things since you will be sitting on top of it. I sat on one of these round seats while dining here. 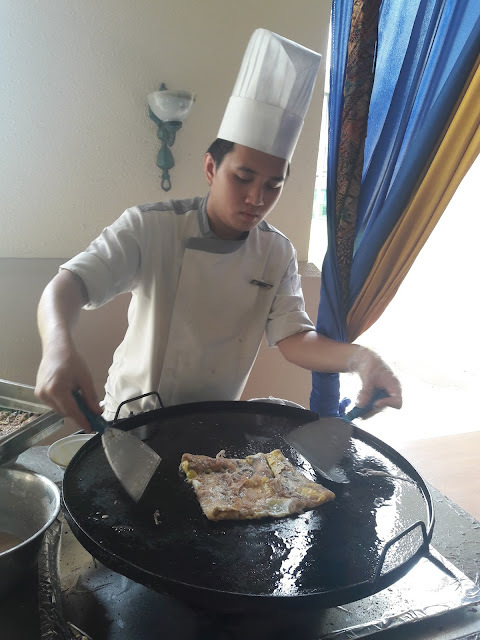 The staffs were there to cook the food. 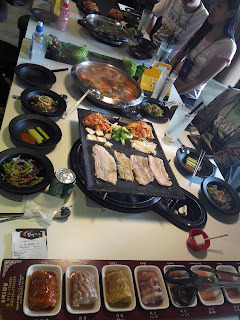 The pork was marinated in 8 different flavors namely ginseng, wine, pine, garlic, herb, curry, soy bean and hot pepper. 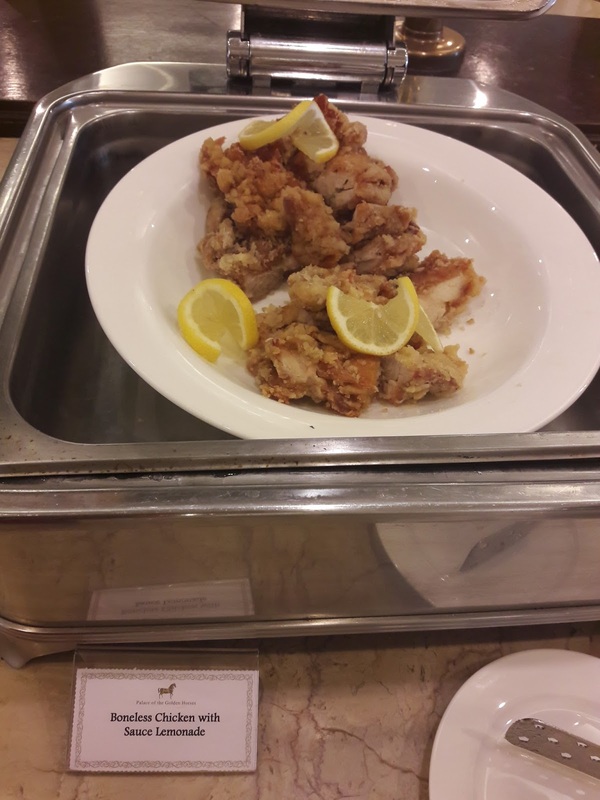 Some tasted really delicious because of the marinated taste and the pork meat was tender. We also had Japchae (stir fried glass noodles with vegetables and pork slices) and my daughter loved this dish a lot. 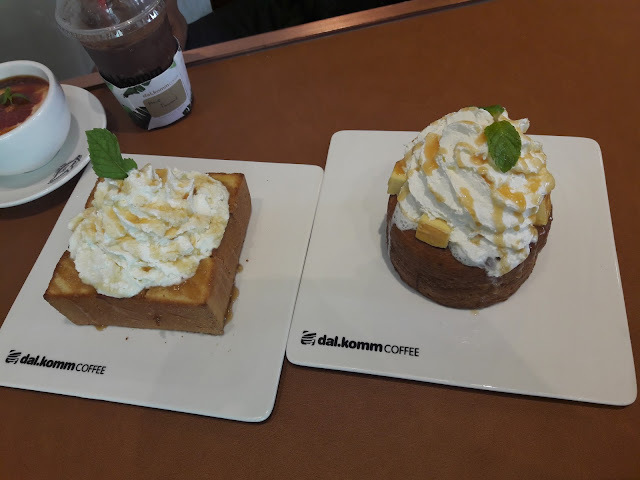 We had desserts at dal.komm Coffee after our heavy Korean BBQ meal. The Lava Cruffin Hanjuku Cheese was very delicious. 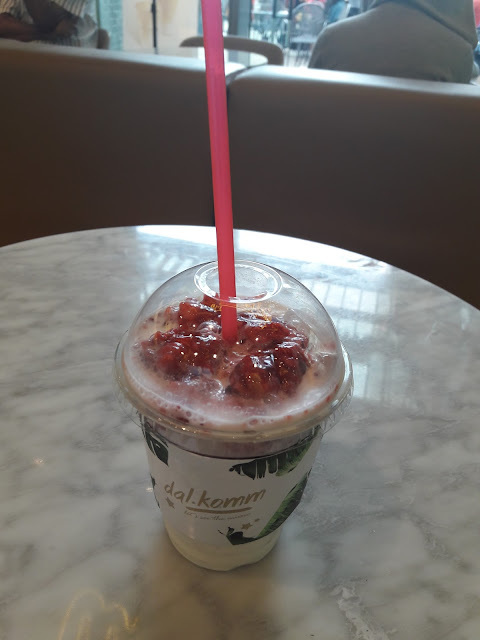 I also had the refreshing and sweet Strawberry Cube drink. Having my dessert at Level 4 of Sky Avenue made me feel like I was in another country during spring or autumn because of the cool weather. Chilling out with friends at one of these cafes at Sky Avenue gives me a different feeling. I just love the cool and windy breeze blowing onto my face. 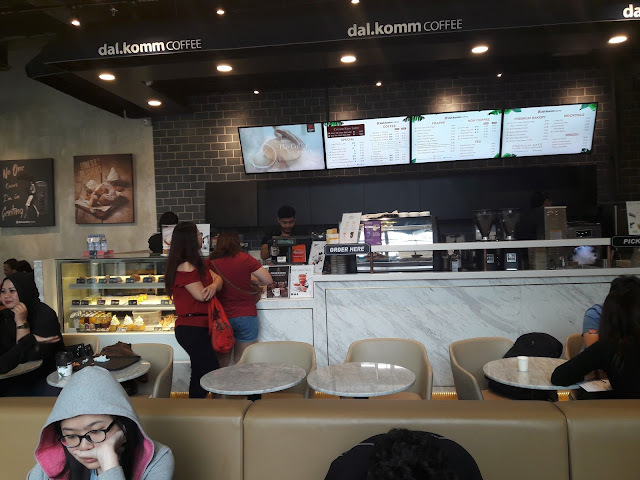 San Francisco Coffee was also on Level 4 where we could feel the cool air like at dal.komm Coffee. My son had his favorite Fettucine Carbonara which had turkey bacon strips served with rich, creamy carbonara sauce. 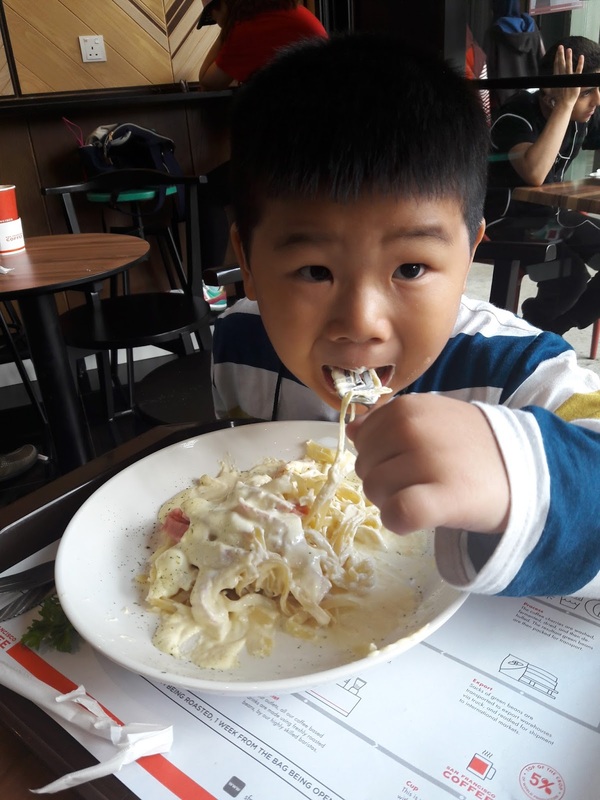 My son enjoyed his Fettucine Carbonara. He loved this dish and ate more than half of it. 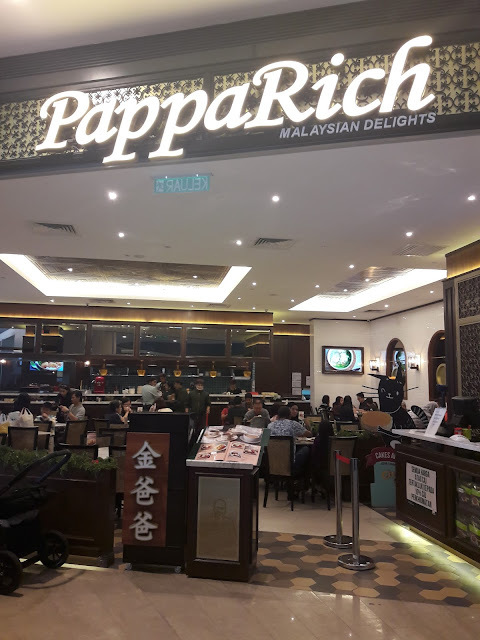 PappaRich is a popular and well-known restaurant with many branches in Malaysia. PappaRich is located at Level 4 of Sky Avenue just next to the entrance and exit of the cable car. We had delicious nasi lemak with fried chicken. 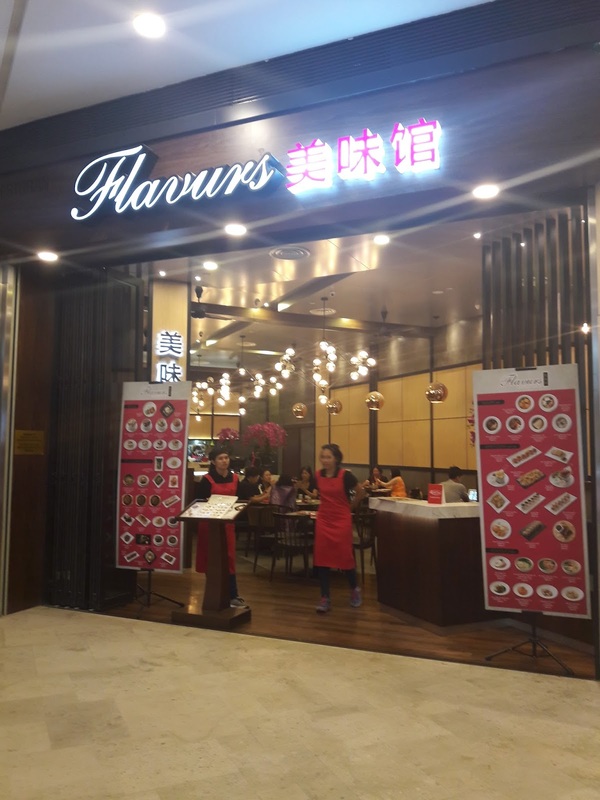 Flavurs restaurant was our next stop. 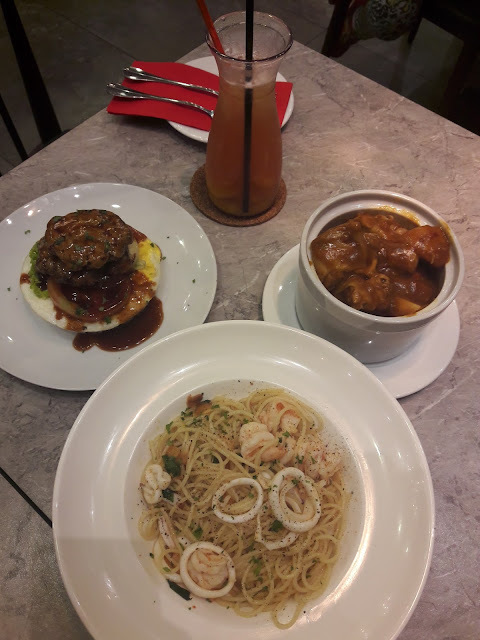 We were served with Easy Peachy drink, Smoky Barbeque Burger Rice, Curry Chicken on Rice, and Spaghetti Aglio Olio with Seafood. The Smoky Barbeque Burger Rice was rice on the bottom with egg, pineapple and meat on top of one another and looked like a burger. 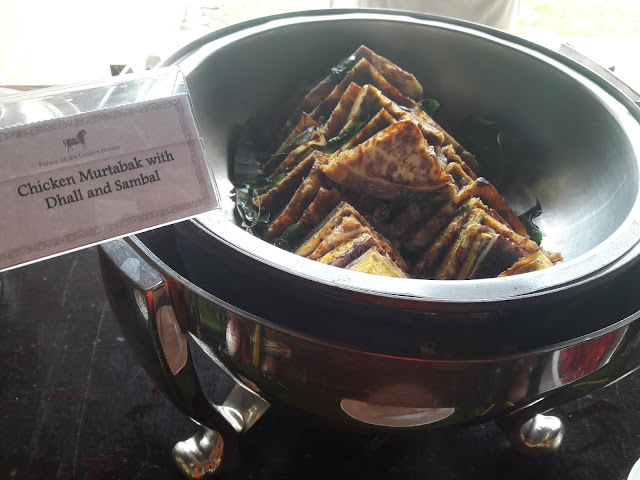 This was a unique and tasty dish I liked. 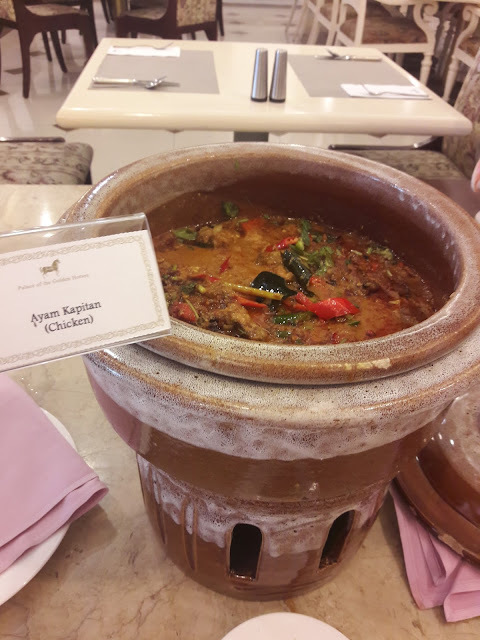 the Curry Chicken was good too. Zok Noodle House has a very nice view of the cable cars at Genting Highlands. We enjoyed looking out the window while eating here. 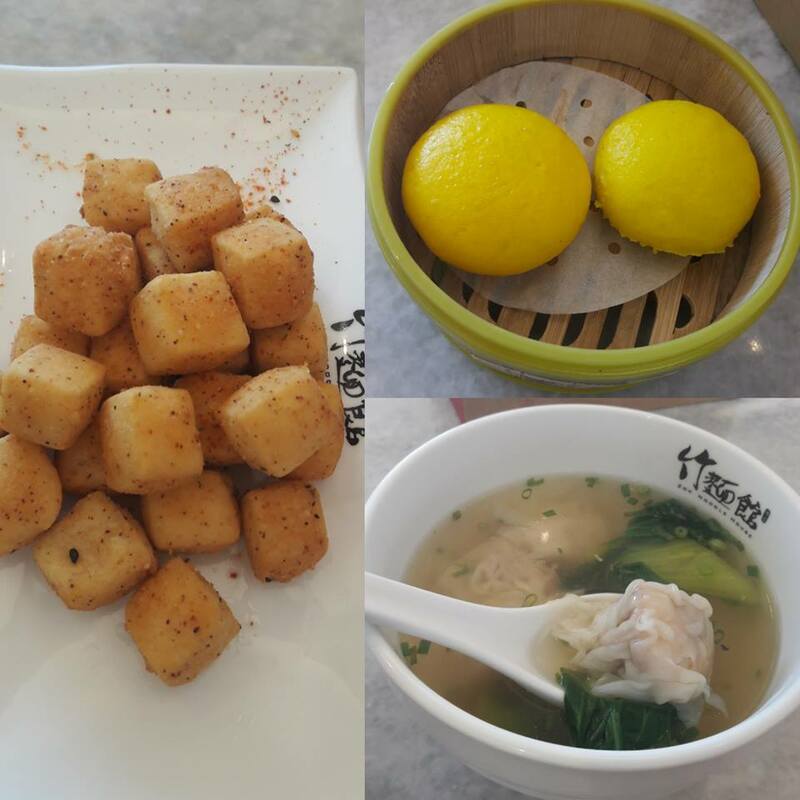 We had Seven Flavours Fried Tofu, Wonton Soup and Signature Golden Custard Buns. We could not eat much because we were very full at that time. The Golden Custard Buns were good but not as delicious as the ones at WanHoi Yamch'a but the price is much cheaper. 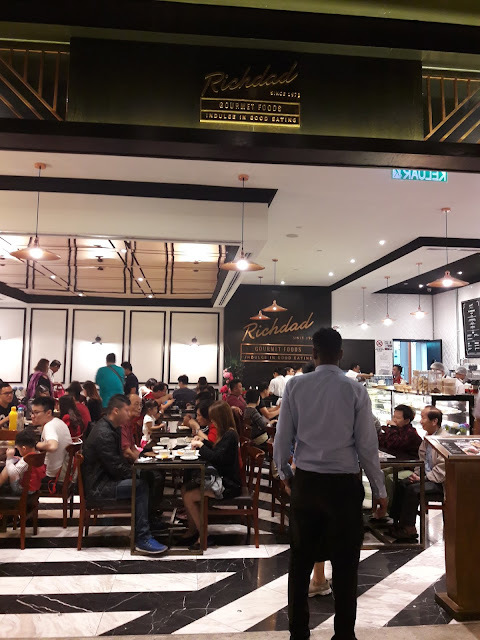 The Golden Custard Buns cost RM 6.00 at Zok Noodle House and Rm 14.80 at WanHoi Yamch'a. 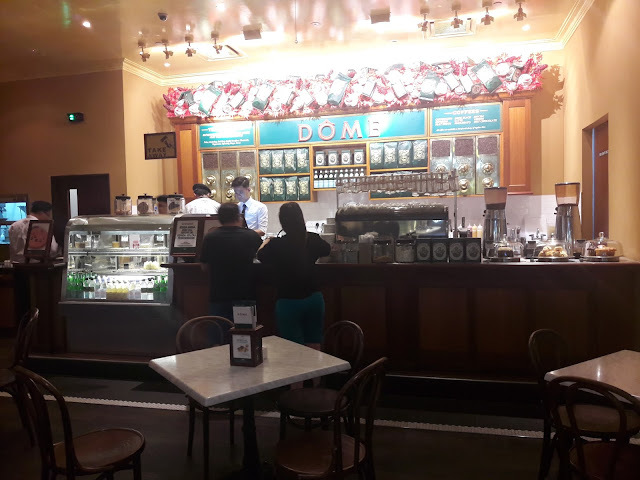 Dome, another popular and well-known restaurant on Level 1 gave us sample sizes to taste. 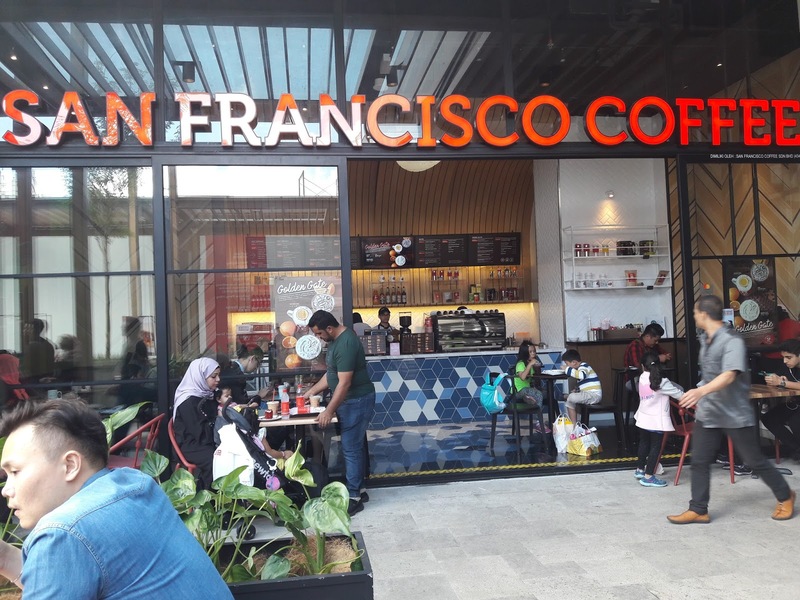 We were given their Signature Latte, Spicy Olio Spaghetti, Mushroom Soup and Fish & Chips. 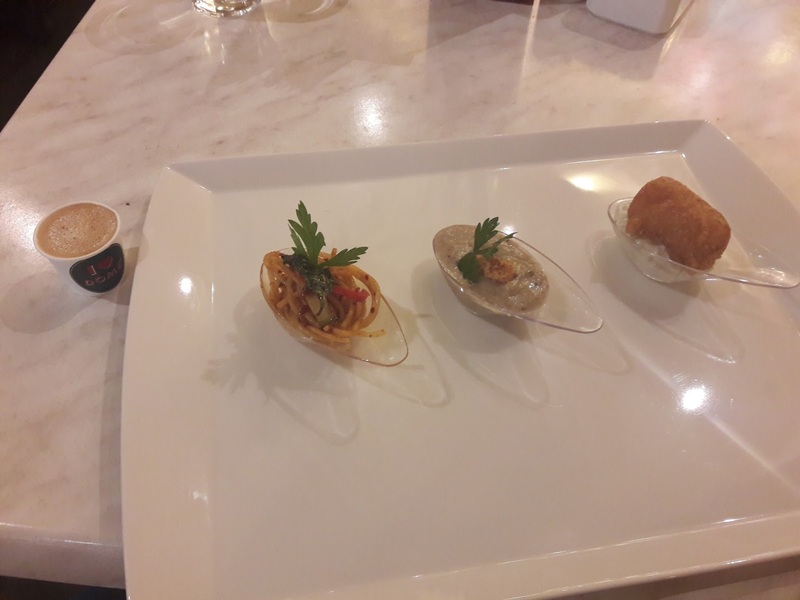 From left to right: Signature Latte, Spicy Olio Spaghetti, Mushroom Soup and Fish & Chips. 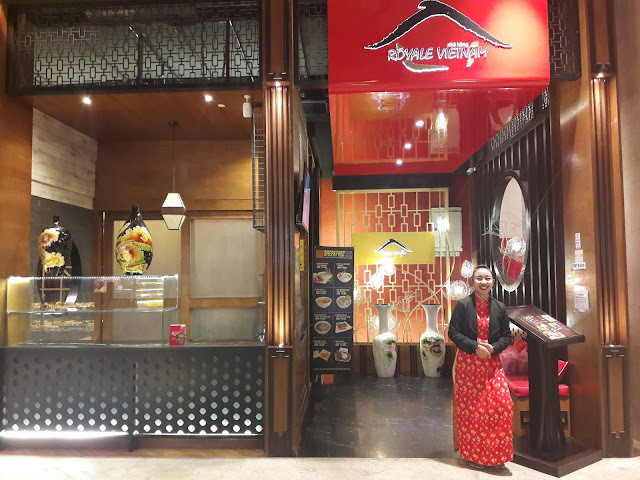 Royale Vietnam serves authentic Vietnamese cuisine and this was the last of the 28 restaurants we visited. 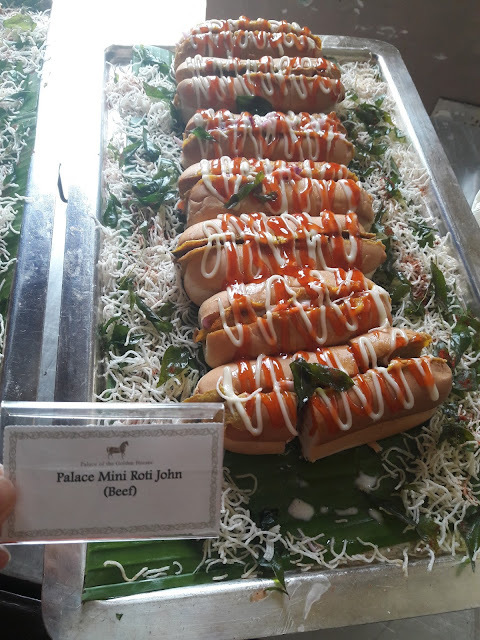 The food here was really fit for the King and Queen. The food decorations, the uniqueness of the food, the restaurant decorations were all very nice. I actually wished I came here earlier so I could enjoy eating the food slowly. I had to rush because I wanted to go home earlier with my friend. 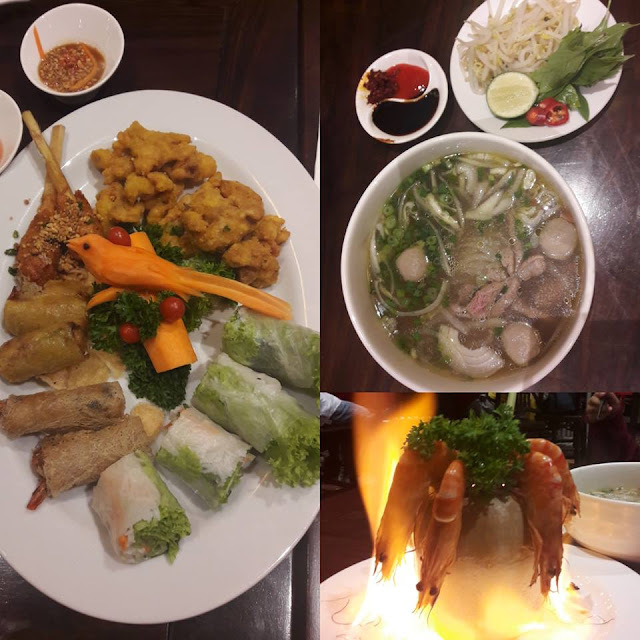 On the left was the appetizer which consist of Fresh Spring Roll, Fried Spring Roll, Summer Roll with Prawn, Sugarcane Prawn and Fried Chicken. 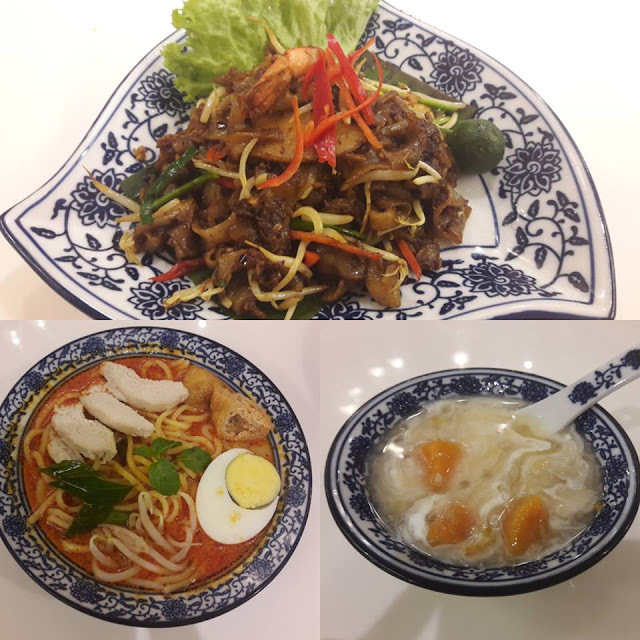 The top right is the Beef Noodle and the bottom right is the Flaming Prawns with Coconut. I liked the appetizer platter because each of the 5 types had their own unique taste. 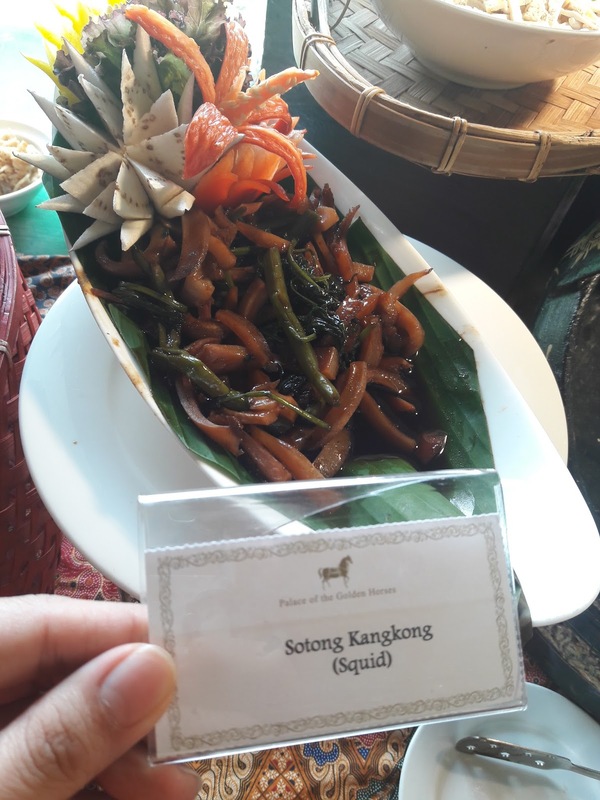 The Flaming Prawns with Coconut was very special as it was really in flames when it was brought out to us. The coconut water was not just any coconut water, something was added to it and tasted delicious. The steam prawns on the coconut were big and fresh and I craved for more. 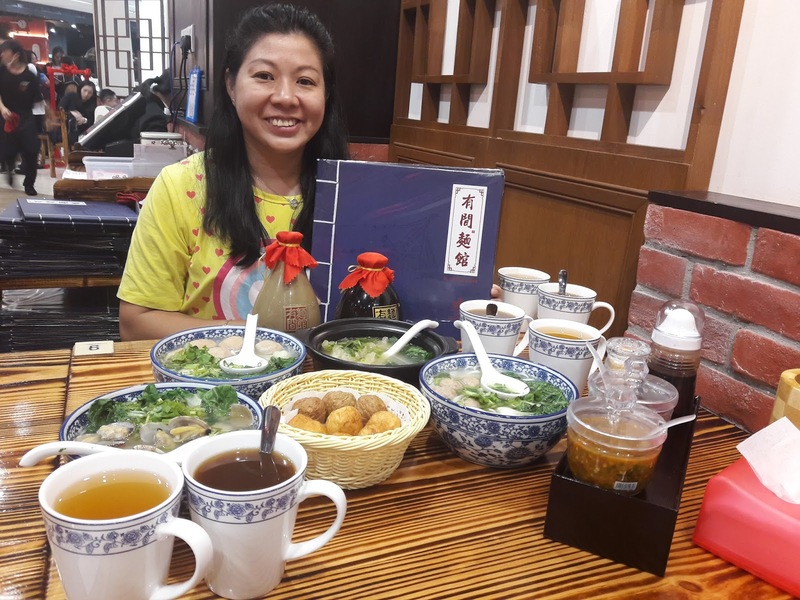 This was how I dined at 28 restaurants for this 36-hours food trail. I actually finished in 31 hours. I ate so much I did not feel hungry for the next 22 hours. Now it's time to get more exercise! Haha... 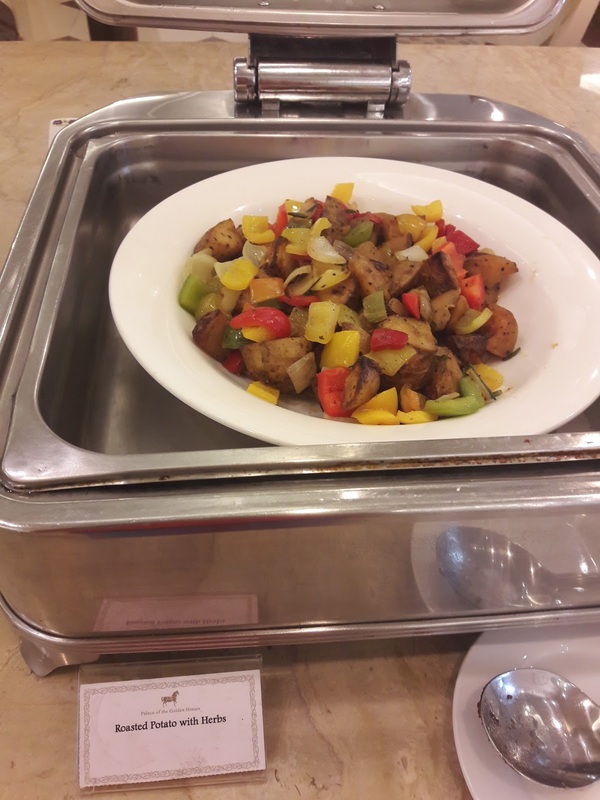 Thanks to the PR team of Resorts World Genting for such a good experience trying so many different types of food.